What's it like to be a shelter volunteer? Debbie "walks" us through her day. I arrive at the shelter and get my locker key, check in, and get ready to walk some dogs. My first priority is to walk around the shelter and check out all the dogs. They are usually sitting near the door of their kennel looking for someone to take them out and give them some love. That's my favorite job! I talk to each of them as I walk by, and I note which dogs haven't been out the longest. After I check out the dogs, I go to the first kennel and get ready to walk. On this particular day, my first dog out was Neo. He's a great shepherd mix, and he hadn't been out in a few days so he was raring to go! I put the harness on him and head out to the park behind the shelter. It is shady and cooler for walking. 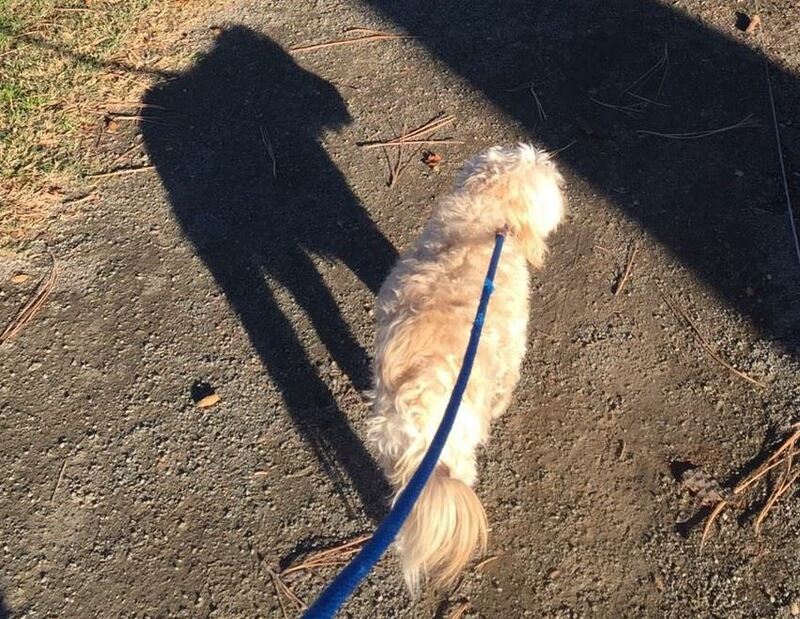 He, of course, pees, then walks around sniffing the grass and trees. After a nice walk, we head back to the shelter for dog number two. As I was putting away the second dog, one of the staff asked me to take out the dogs that were in the back area recuperating from surgery so their kennel could be cleaned. After my usual happy greeting, Coco and I were off. I tried to take it easy as she was still healing from her spay, but she had been cooped up for a while and was ready to go. More walking! After the walk, a visitor asked me to find a kitten she was interested in. I checked with our desk staff who gave me the kennel number, and I took out the kitten for her to visit with. While I was doing that, another woman asked to see one of the dogs so I got the kitten and her prospective owner settled and got the dog out. I spent time with both people, and happily, the kitten got adopted. After the "meet and greets", I went back to walking! Zeus was so happy to be out as you can see by his big smile. After getting out a few more dogs, I spent time with two of our shy dogs. Holly came in from a hoarding situation and sits in the back of her kennel. I quietly sit with her, petting her, and she came to smell me. I leashed her and took her for a walk, which she loved. 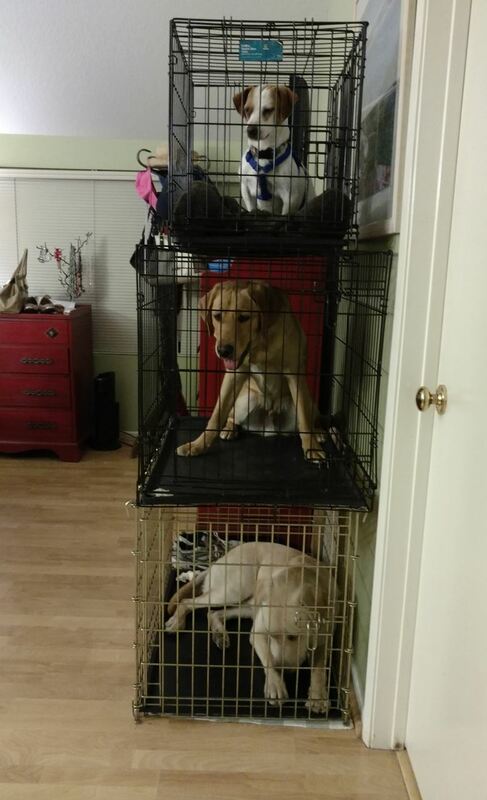 Timmy sits in his kennel in the corner where no one can see him. I sat next to him and just quietly talked and petted him. When I closed the kennel door upon leaving, he came to the door to smell my hand. A very successful day! 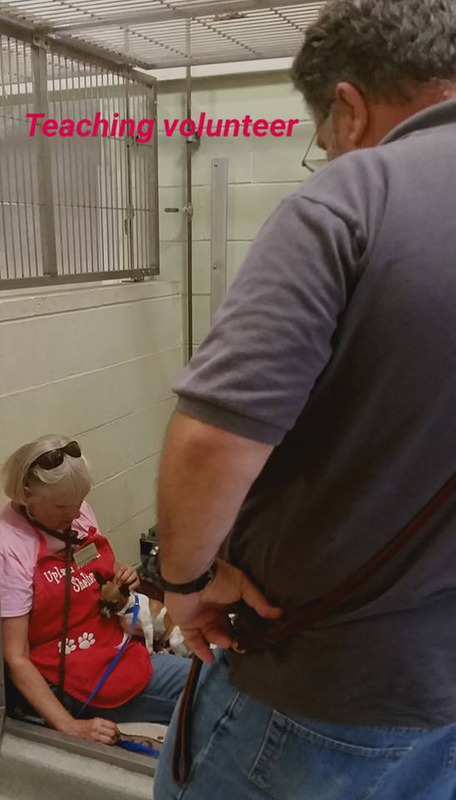 Volunteers are a vital part of our shelter. 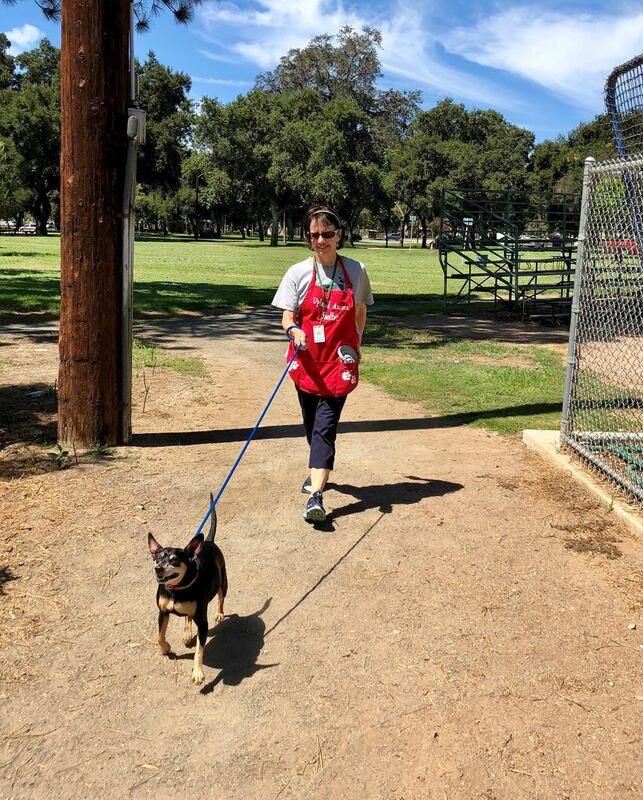 We walk dogs, spend time with the cats, help clean the shelter when needed (every kennel is cleaned every day), fold laundry (clean blankets/towels every day), clean food/water bowls, socialize the animals, and do "meet and greets" with prospective adopters. I love every minute I am there. Allowing the animals to have human interaction is vital to their well-being - and good for me, too. We always need volunteers to do all sorts of things. If you have some time available and would like to volunteer, click on the image below to get more details and fill out an application. You will be glad you did - and so will our furry friends. 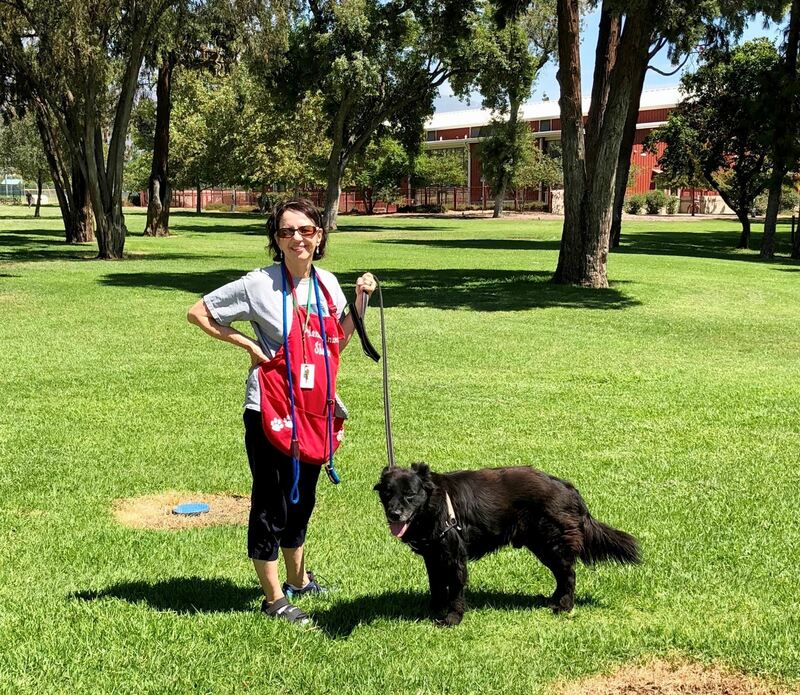 Thanks Debbie for sharing a typical day as a volunteer at the shelter. and wonderful volunteers who help in so many ways. There are many of us out there (you know who you are) who love dogs just as much as they love us. Which brings us to Rick Belmonte and Dog Lovers CREED. 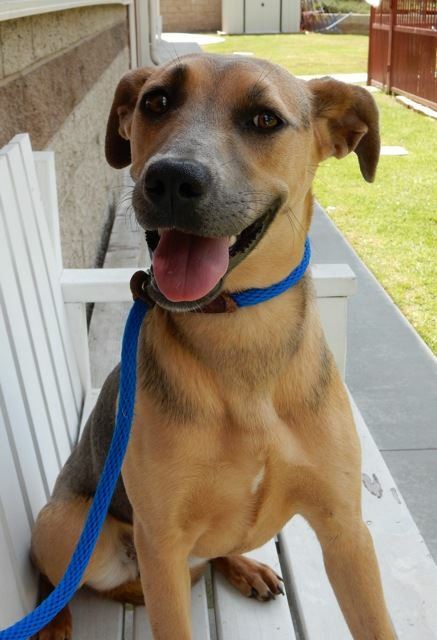 You may have seen Rick Belmonte at the Upland Animal Shelter or at our annual Spring Pet Faire. He is the owner of Belmonte's Dog Training and Equipment as well as the founder and President of Dog Lovers CREED. 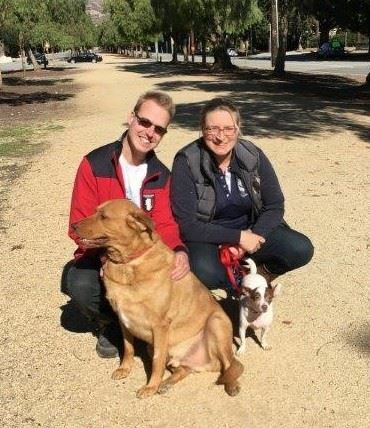 Rick, along with his Dog Lovers CREED team members Robin Drott and Kristi Kho, are professional dog behaviorists and trainers who have a deep love, appreciation, and understanding of dogs. Many of us have witnessed Rick’s special magic. For example, he can take a dog he’s never met before, a dog who is a little feisty, distracted, and pulling on his lead, and within minutes, have the dog watching him closely and following his lead. It's amazing to watch. Teaching a dog this simple behavior not only provides a solid foundation for further training, but also forms the core of a good human-canine relationship. 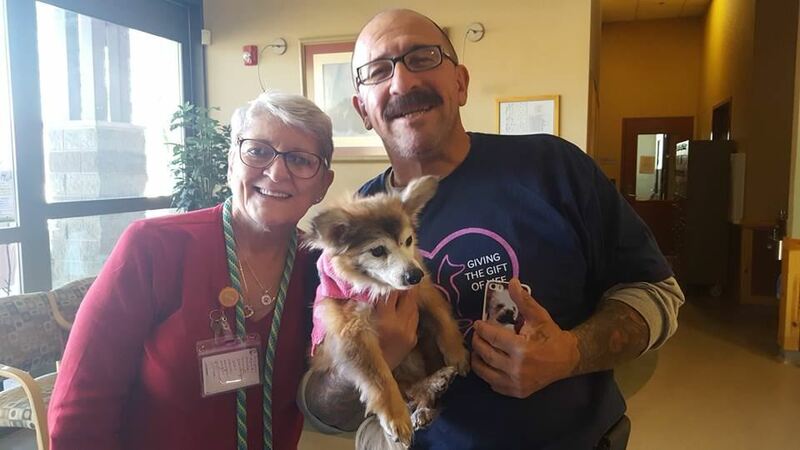 Over the past ten years, Rick, Robin, and Kristi have volunteered their time in local shelters and rescues to help save as many dogs as possible. 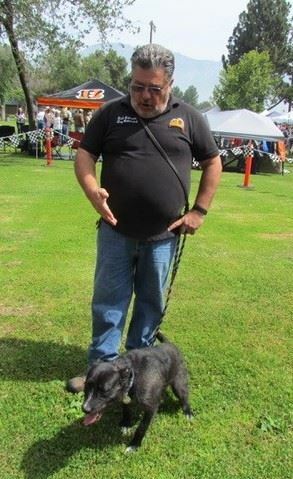 Rick has spent countless hours at Upland Animal Shelter working with our dogs and helping our staff and volunteers assess animals and develop their dog-handling skills. As Lead Volunteer Kathy Ferguson explained, "Some dogs come to the shelter completely disengaged. They're terrified, confused, and unmanageable. Rick gives these dogs a chance for a new life. 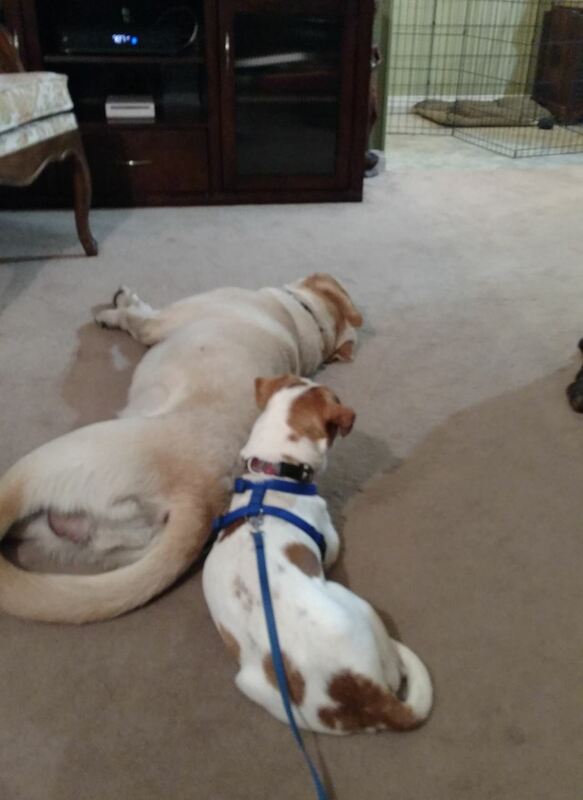 His knowledge of dog behavior allows him to reach these dogs and help them to relax, focus, and listen. 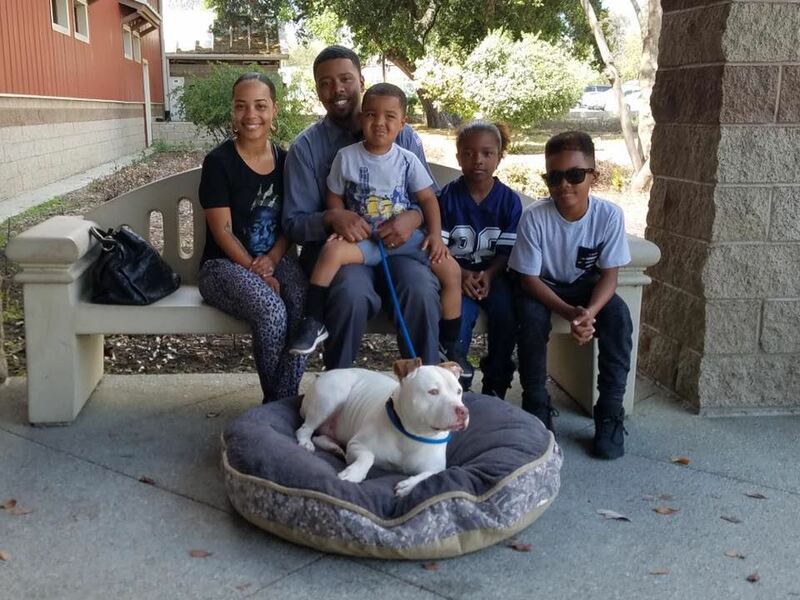 So many shelter dogs have quickly found new forever homes because Rick has shown them the way. So many volunteers have discovered the best way to work with shelter dogs by working with Rick and observing his techniques." Over the years of working in shelters, Rick and his team found that well-mannered dogs got adopted quickly, but some of the dogs who lacked good social skills often became "long term residents". 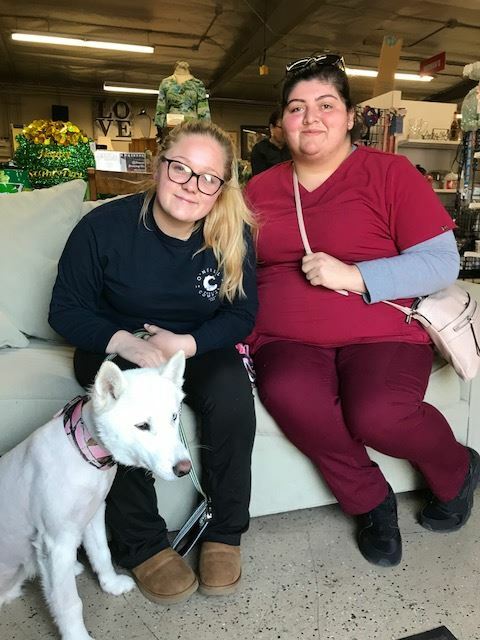 They also noticed that many of these organizations did not have the necessary resources to offer advanced training for staff and volunteers on how to work with the more challenging dog behaviors. Our staff and volunteers spend a lot of time socializing our animals. This not only reduces the stress associated with being in the shelter, but also helps them remain adoptable. 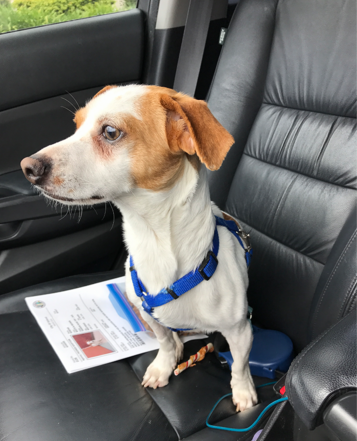 However, when we have animals with poor behaviors that may hinder their adoption, we often ask Rick and his team to assist. As an example, we asked Robin to take Lucy, a 7-week old Pitbull puppy with a little bit of an “attitude” to help her gain some much-needed social skills. Robin observed that Lucy was displaying article guarding (showing aggression to people and other dogs) with toys and food, which is unusual for a puppy of this age. She was also displaying some other bad behaviors, such as barking at dogs anytime they came around her. 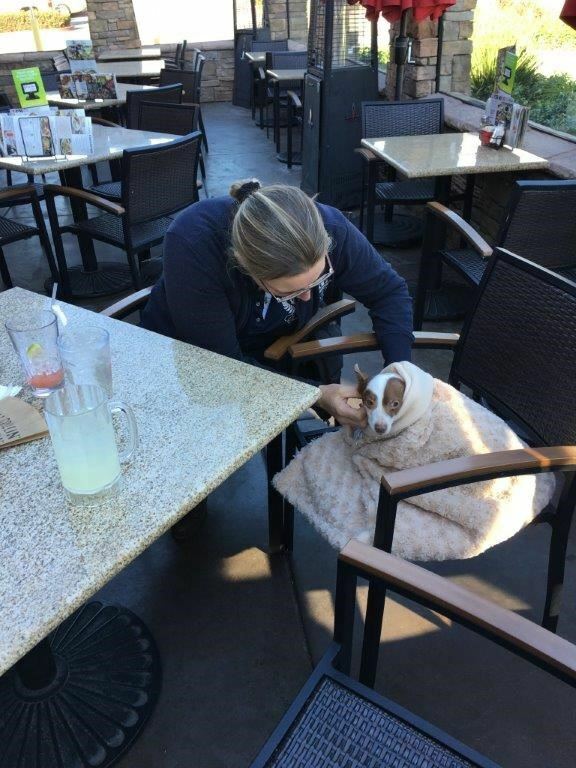 Her “improvement program” included being saturated with hands-on contact, being taught to surrender toys and food, and being kenneled with dogs who could be trusted to teach Lucy “dog rules” and good social behavior. 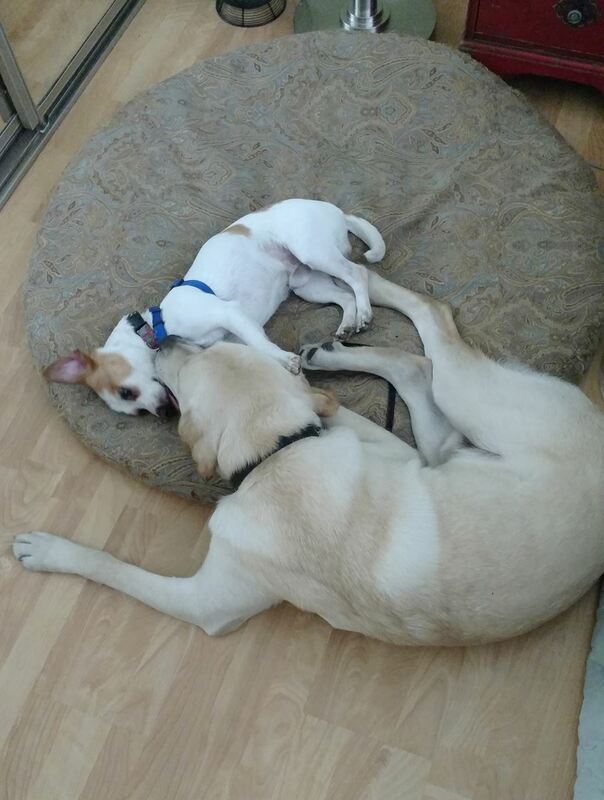 Four weeks later, Lucy returned to the shelter a new puppy. Although it was hard for Robin to part with her little angel, she knew it was time. We couldn’t help but jump for joy when Lucy was adopted the following week. 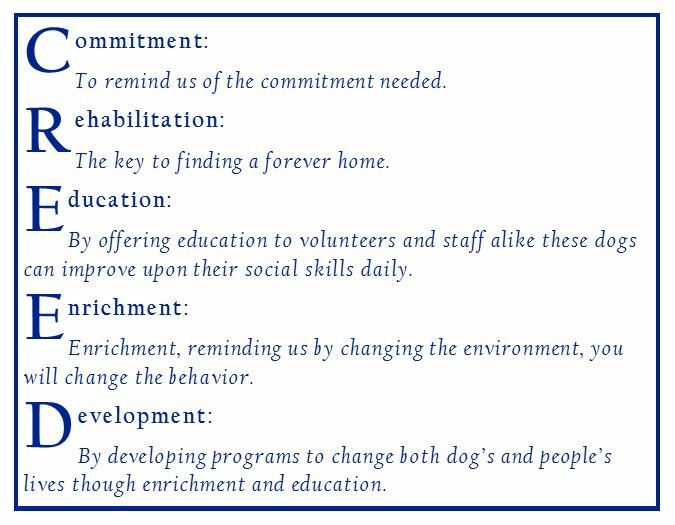 One aspect of the “Education” part of Dog Lovers CREED is focused on “training the trainers” so that more people can help more dogs learn good social skills and behaviors. 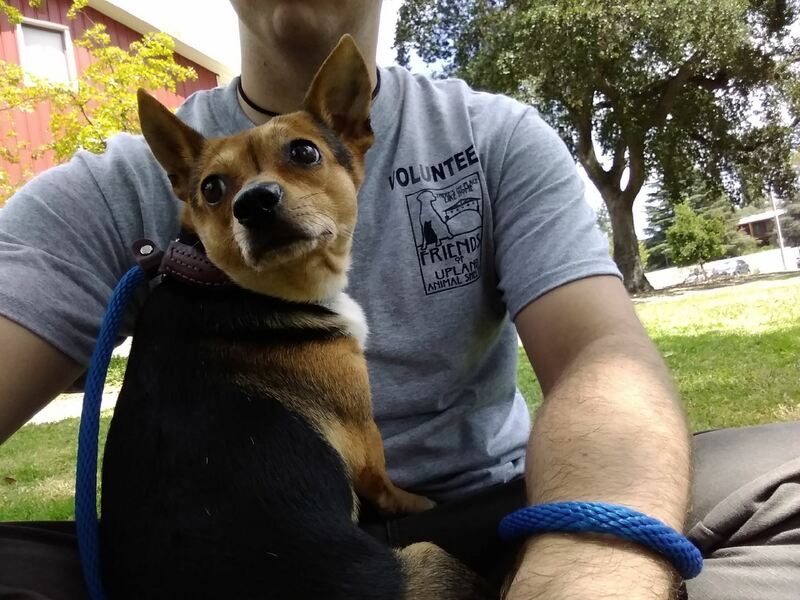 In addition to routinely helping our staff and volunteers in the shelter, Rick offers Behavior Workshops every Saturday from 10:00 a.m. to 12:00 noon for our volunteers. For these workshops, Rick selects a few shelter dogs and shows our volunteers how to work with them based on their particular personalities and behaviors. Below are a couple of videos capturing these workshops. 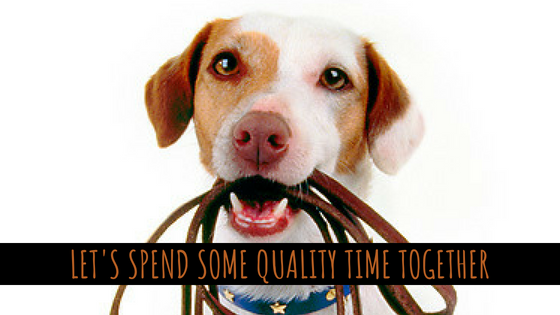 One of the things to notice is that working effectively with dogs can be relaxed and joyful. Jake is a 3-year old Chinese Sharpei/Shepherd mix (ID#A04923). He's been at the shelter since July 24, 2016. 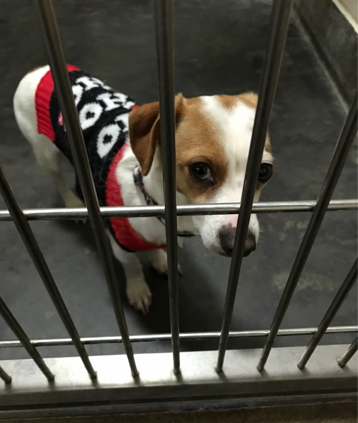 Our Lead Volunteers note that he is a great dog, but he doesn't show well in his kennel. The video is of Rick working with him in the park on a long leash showing that he is calm and obedient. He is a good boy who really needs to find a loving home. 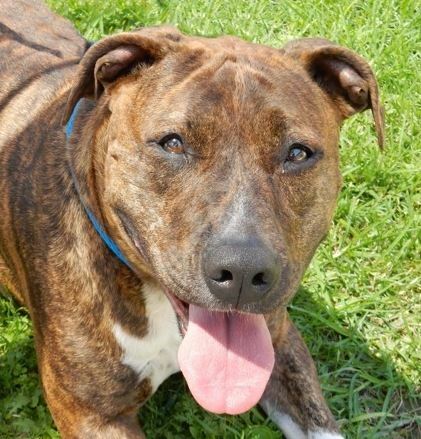 Dakota is a 2-year old Brindle Pit Bull mix (ID#A044760). She's been at the shelter since July 2, 2016. Our Lead Volunteers note she came in already knowing many commands. She's a little hard to handle when she gets out of the kennel, but once she's outside the shelter, she does well on a long leash and has a great time. The video shows Rick teaching her how to "play dead", which she learned in about 2 minutes. She's very smart. We really want this good girl to find her forever home. 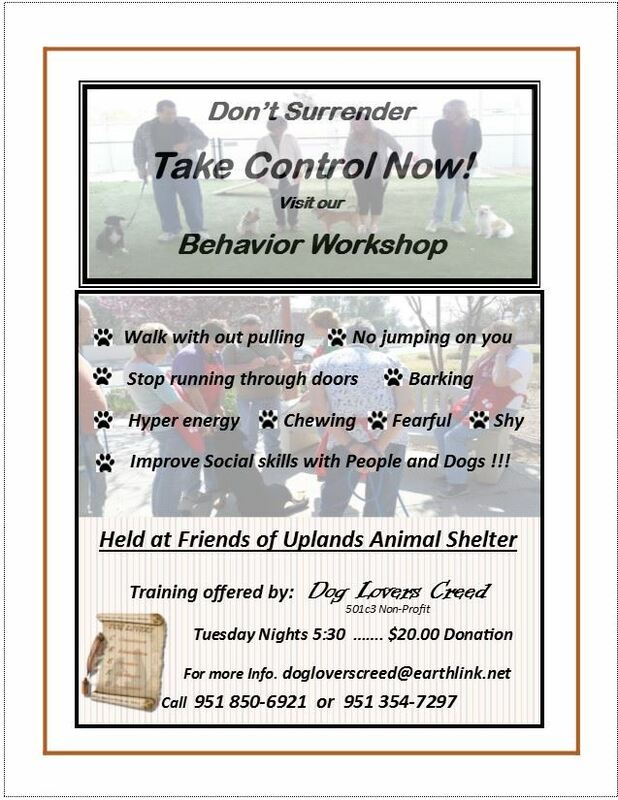 Rick also conducts Behavior Workshops for the public every Tuesday evening at 5:30 p.m. at Upland Animal Shelter. These workshops focus on developing good dog handling skills and are offered at a low cost of $20. Not only do these workshops teach good skills, they help resolve behavior issues and establish a better relationship between dogs and their owners. When we get a call from someone wanting to surrender a pet because of poor behavior, we recommend they attend Rick's class. When they do, it often changes a family's decision from wanting to surrender their pet to keeping their pet. 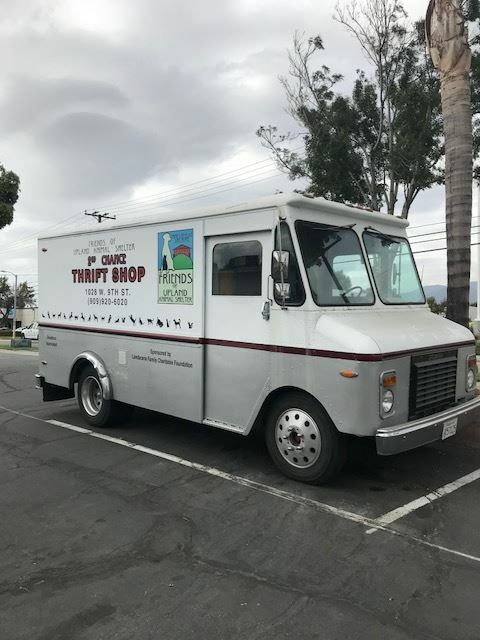 We are grateful that Dog Lovers CREED has chosen to work with Friends of Upland Animal Shelter and sincerely thank them for everything they do. 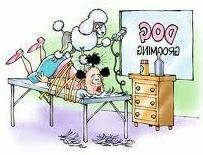 It is a relief to know that with a bit of training, time, and dedication, most behavioral issues can be resolved. With committed people like Rick, Robin, and Kristi offering their support, all of our dogs can have a chance at finding good homes. Plus, our human-canine "packs" can have a better chance of staying together. All of this helps fewer animals enter the shelter and more animals leave the shelter. That's what we call a miracle. Because Dog Lovers CREED offers their services at no cost to us, please consider supporting them by making an online donation on their website at www.dogloverscreed.org and follow them on Facebook @dogloverscreed. Once again, Rick will be at the Spring Pet Faire on May 6 doing shelter dog “makeovers” and offering tips for how anyone can work more effectively with their own dogs. Plus, this year he will be evaluating dogs to see if they would make good candidates for further Canine Good Citizen testing and certification. The cost is $30.00 per dog. Anyone who is interested is welcome to bring their friendly dog on a six-foot non-retractable leash. When your mission is to find every adoptable animal a loving home, it helps to be part of a network of shelters and rescues. While most of our animals enter the shelter either as strays or owner surrenders, we find the time to go to other “high kill” or overcrowded shelters and transfer adoptable animals to our care. We do this when we have the space and because we believe in doing what we can for abandoned animals, regardless of their zip code. Similarly, most of our animals leave the shelter with their forever families. However, there are times when we work with rescues who can take a few of our long-time residents who haven’t found their match. These rescues often have their own network of foster families who can give these animals the time and patience it takes to find the right placement. We are also very thankful to work with rescues who can handle special needs. 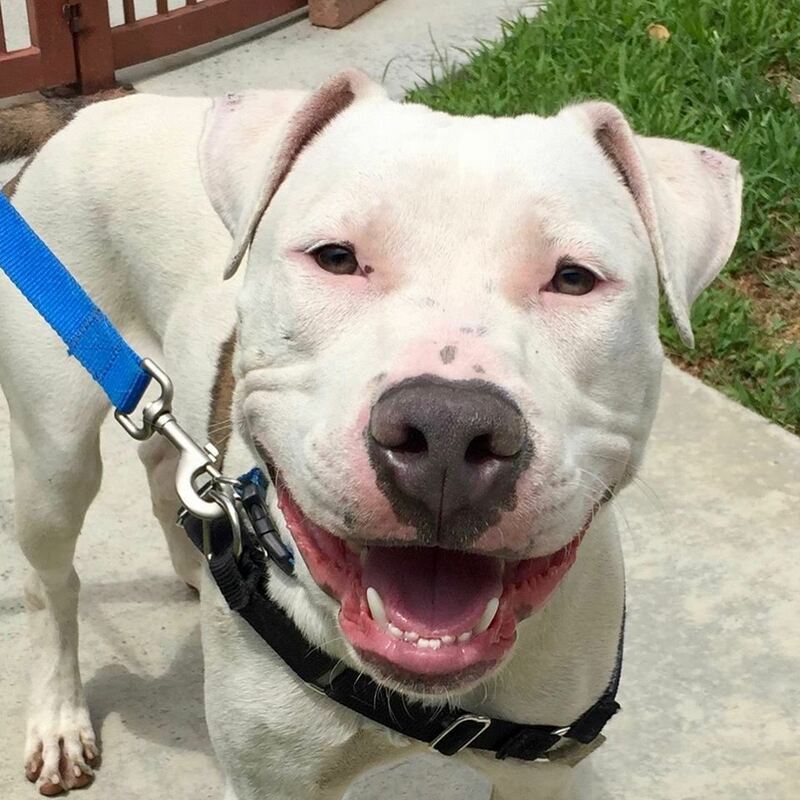 It is heartbreaking to see an animal come into the shelter who needs a lot of extra TLC and a relief to know there might be a rescue who can help. Here are two wonderful examples. 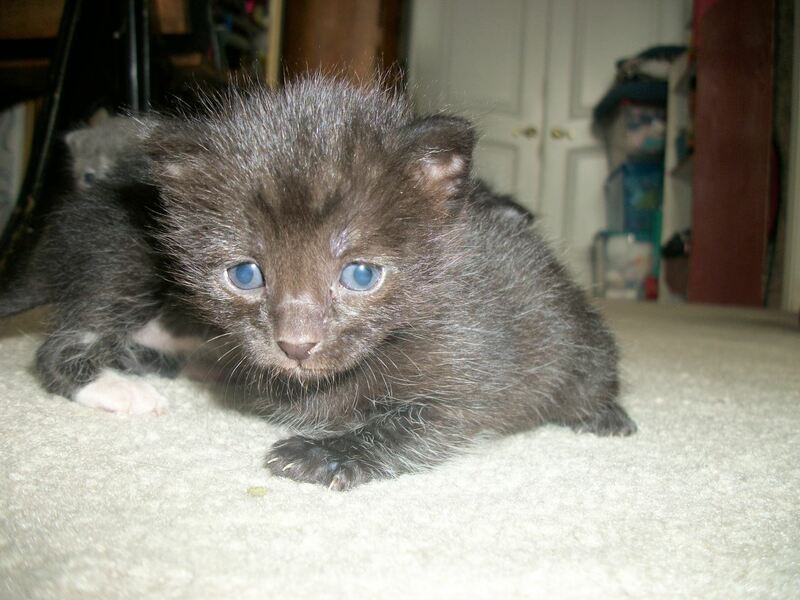 Xander was found as a stray and brought into the shelter at about five to seven days old. His eyes and ears were still closed. He was not eating and declining fast. 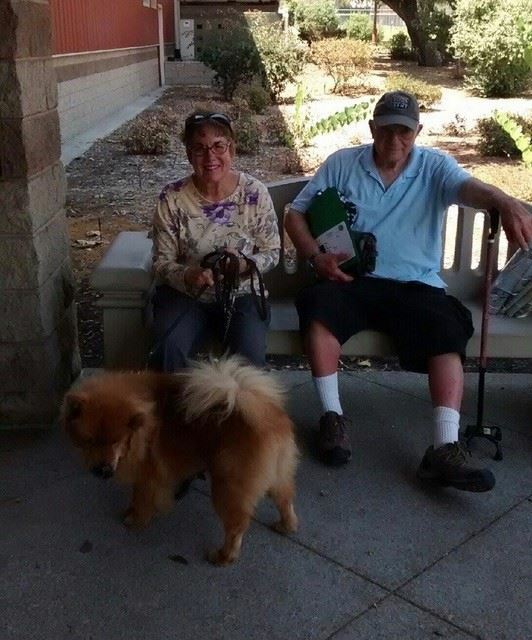 That’s when Peggy and Brenda, two of our dedicated staff members, nursed Xander back to health and helped him on his way to finding a forever home. Here is the story in Brenda’s words. The first 48 hours were very touch and go. It took the patience of Job to get him to eat. We had to drip formula into his mouth and wait for him to swallow because he didn’t have a sucking reflex. He slowly improved into a voracious eater and began to grow quickly. At first, Xander developed normally with his eyes and ears opening right on schedule. However, as he began to walk, he was extremely clumsy and walked into nearly everything. He also had the tendency to lean to the left when walking after waking up from naps. The leaning would slowly go away the longer he was awake, but it was a noticeable issue. Also, when he walked he ‘high stepped’ like a pony prancing rather than having a normal gait. After a visit to the veterinarian, our suspicions were verified: Xander was most likely blind. Although a blind dog can live a happy and full life, it requires a special home that is willing to make accommodations for his special needs. For example, a pool without a fence is deadly. Gates that don’t close all the way would allow him to wander out of the yard and potentially into traffic. Placing a special needs dog requires an intensive application process as well as home visits both before and after the placement. Xander also needed specialist evaluations from an ophthalmologist and neurologist. When Xander was only a couple weeks old, we were curious about his breed so they had a DNA test done at our own cost. 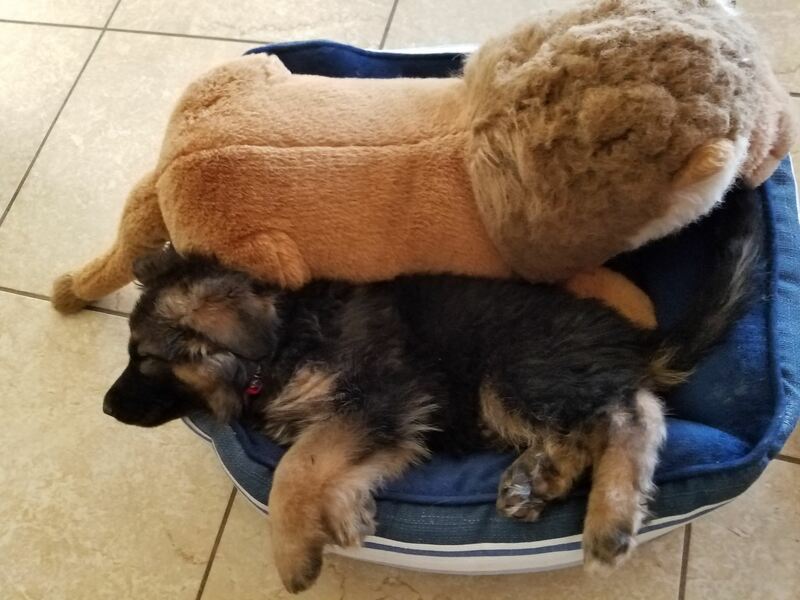 We discovered he is a purebred German Shepherd. This helped us decide to contact Southern California German Shepherd Rescue based in San Diego. Even though San Diego is some distance away, we were willing to transport him wherever was necessary to ensure proper medical care and placement. 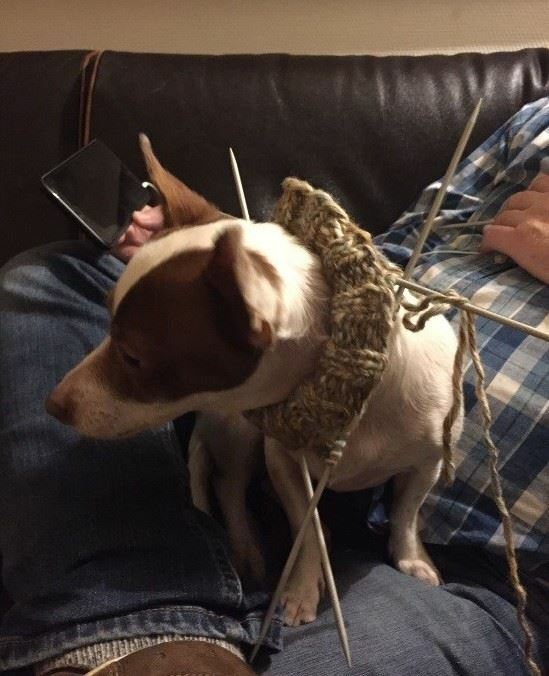 Marcy, the founder of the rescue, quickly began to work on a plan to place Xander. She found a foster home for him and set up the necessary medical appointments with specialists they frequently use. Xander’s new foster family drove up from San Diego and met us half way to transition Xander to their care. They must have thought we were “nuts” because we sent Xander home with his beds, the lion that he sleeps with at night, lots of toys, food, potty pads, and a collar and leash. Xander has gone to multiple medical appointments and it has been confirmed he is totally blind in one eye but he has some sight, although limited, in the other eye. 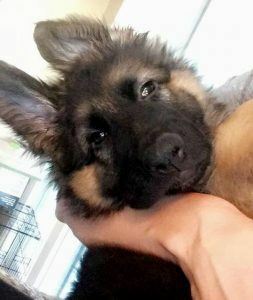 He is doing amazingly well and Southern California German Shepherd Rescue is vetting people as potential adopters for him. This story highlights (again) what we know to be true. It takes the efforts of many, all working together, to have successful outcomes. And, it’s not only working with other rescues that make these victories possible, but also the efforts of our own staff and volunteer fosters who offer respite for a time and are part of the process of placing an animal in the best situation. 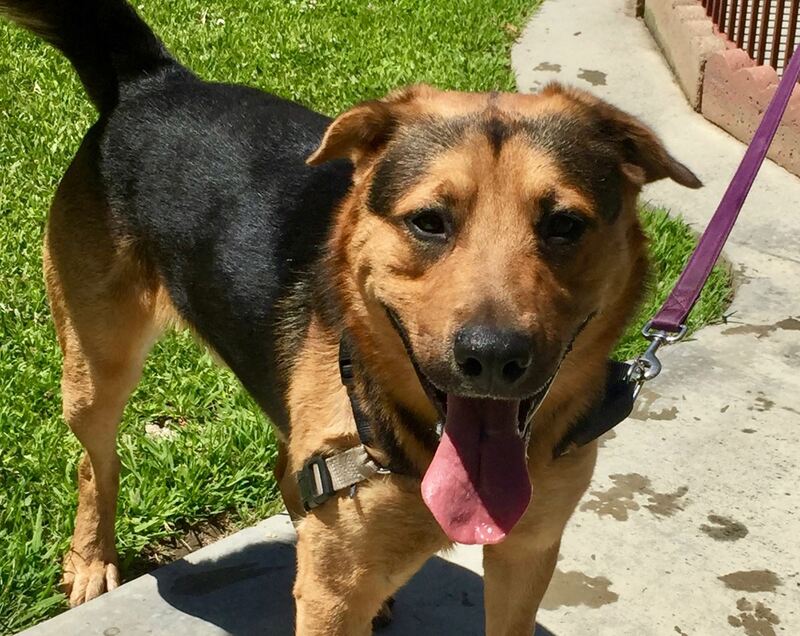 To see more about Xander, click here to go to Southern California German Shepherd Rescue's website. 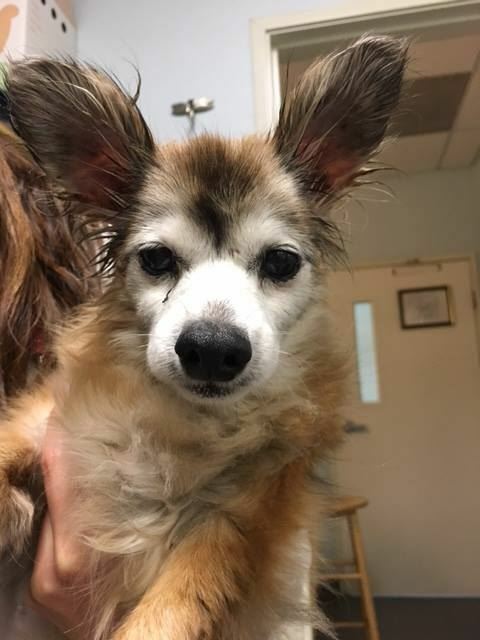 Angel, a senior dog approximately 15 years old, was found as a stray in Upland in February. When she came into the shelter, she was in need of a good grooming. 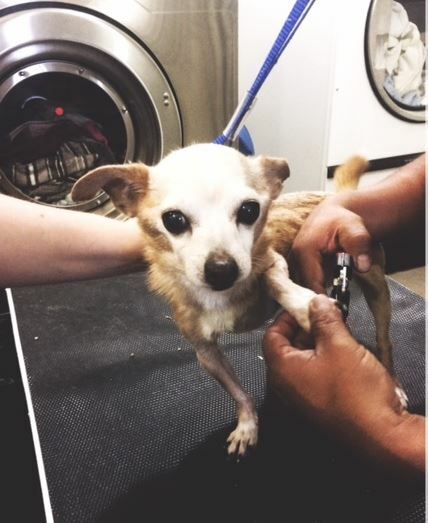 Once her hold period passed and no one came to find her and take her home, she got a day of pampering at Alta Pet Center. 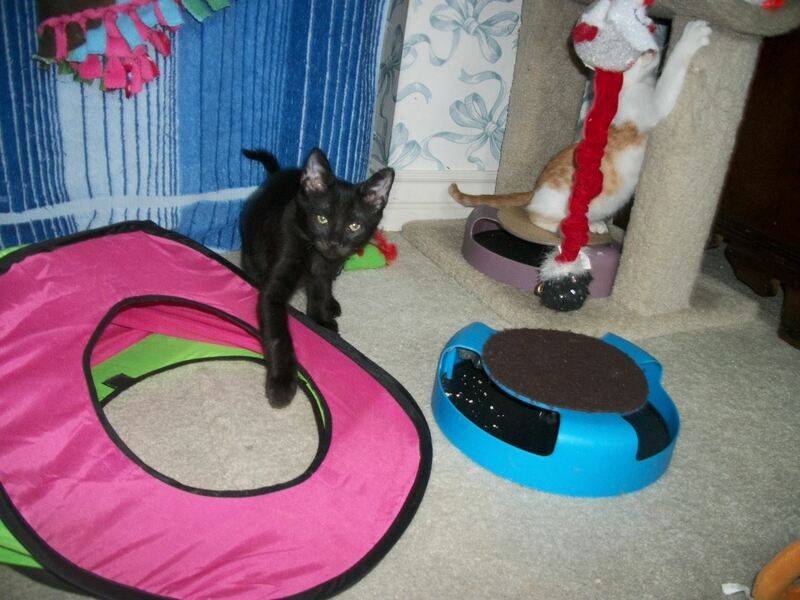 After a few days of little interest by adopters, an alternate plan was needed for her. 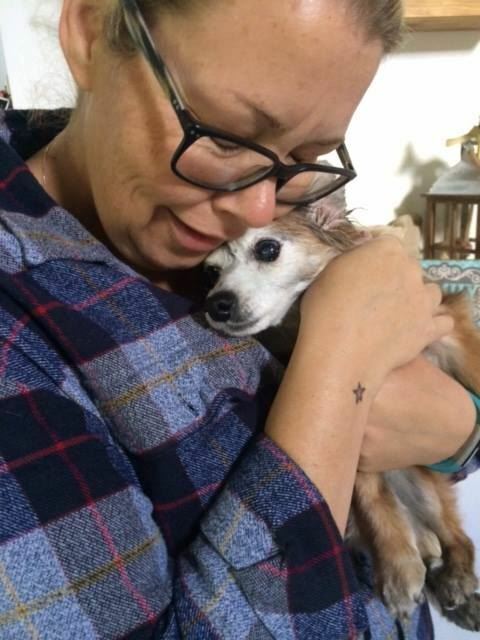 This is when shelter staff reached out to Leave No Paws Behind, who quickly found a hospice foster for her. Leave No Paws Behind is an all-breed, all foster-based rescue, specializing in seniors, terminal and end of life animals, and pets with special needs. 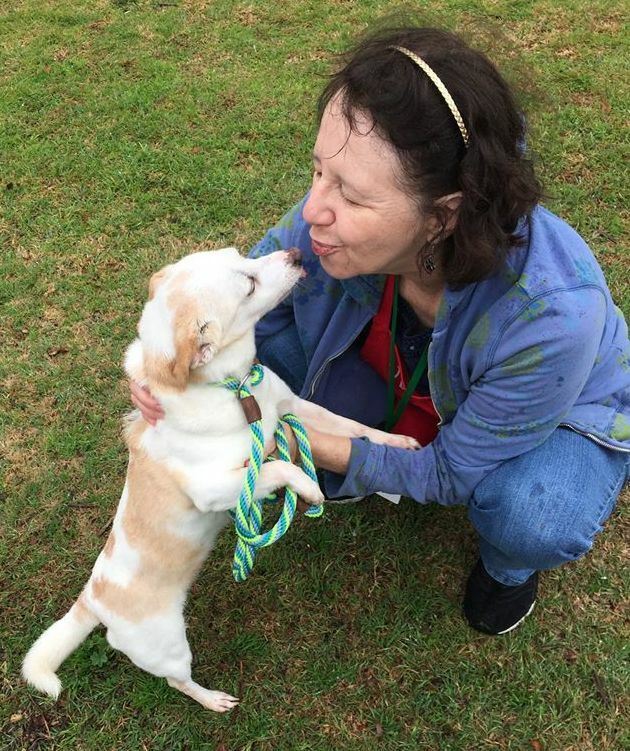 On February 24th, Lenny a volunteer with Leave No Paws Behind, picked Angel up, with Elaine Creel, a long-time Lead Volunteer for the shelter, there to send her off. 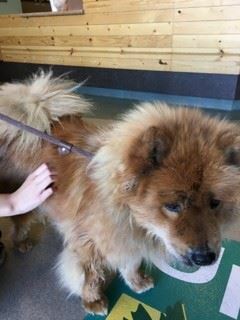 Angel spent a couple days at their veterinarian before going to her foster home where she was loved and pampered. She passed away surrounded by love on March 10th. We are so grateful to Southern California German Shepherd Rescue and Leave No Paws Behind for taking care of these precious animals. And we are grateful for the working relationships we have with other shelters and rescues in the area. This is partly why we host an annual Spring Pet Faire and invite other rescues and shelters to attend at no cost…because we know we can all accomplish more together for all the lost and abandoned animals. Click here to learn more about how to become a foster. 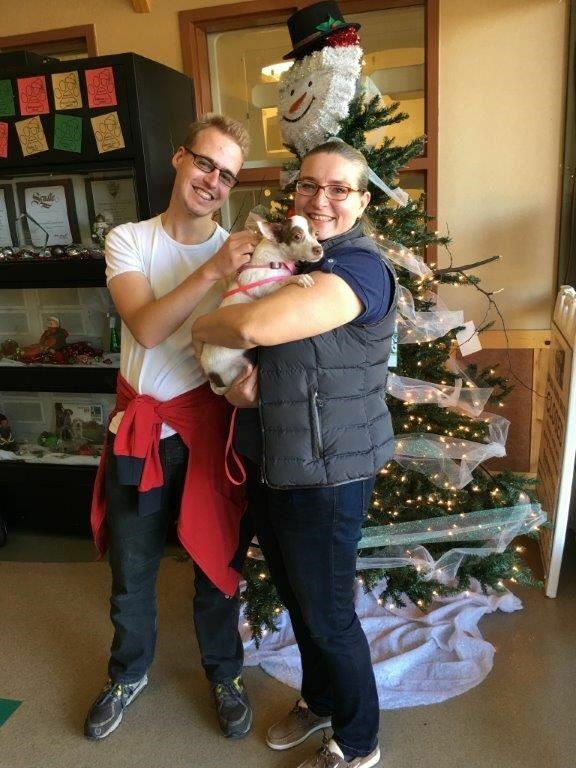 We all love to see the “happily ever after” Facebook photos of our adorable animals going home with their new forever families. Cookie's (now Kookie) adoption photo below is a great example. But, sometimes, it takes a heroic effort to help an animal who is traumatized by his or her past to be able to have that same happy day. We are ever grateful for the dedicated and thoughtful staff and volunteers who go the extra mile to help our most distressed animals. Ron Chrisman is one of those people. He is a long-time volunteer who works with our most challenging dogs. He also trains puppies for Guide Dogs for the Blind so he has quite a wealth of experience in working with dogs. 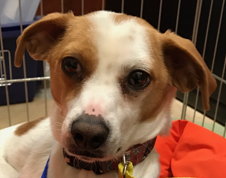 Here is a heartwarming story, in Ron’s words, of one troubled shelter dog who was lucky enough to benefit from Ron’s experience, patience, and compassion. 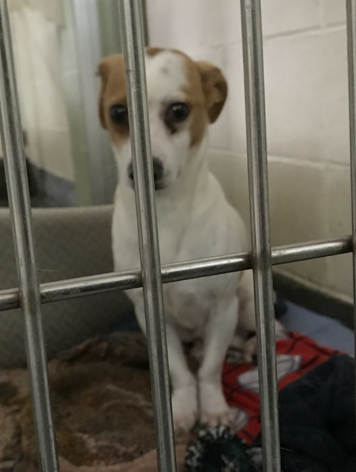 I first noticed Rotor at the Upland Animal Shelter in January. He was severely disturbed. 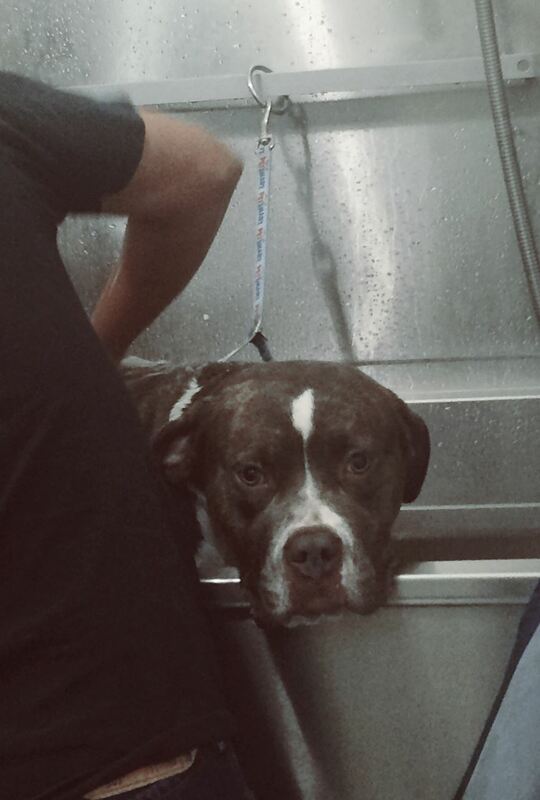 Initially, he was unapproachable, constantly trembling while huddled tightly in a corner underneath the water bowl. Any attempt to reach for him was met with snarling, growling, and snapping at the approaching hand. 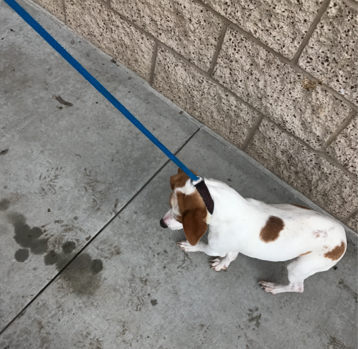 The mere touch of a leash anywhere on his body caused him to cower, shrink away, and bite. Shelley Foglesong, the Interim Shelter Manager, called and asked if I'd work with him. I began working with him to build trust and confidence. He wanted no part of it, but in time became tolerant of my advances. For a long time, I was the only one who could touch him. As he slowly started to respond, other experienced volunteers joined in the process, and he came to accept their touch also. After working with him for a few weeks, I decided to change his name to "Rewind" because that was a way of associating him with my efforts to transform and makeover his inner self. He was my "reclamation project." During this time, Rick Belmonte, one of the shelter’s professional dog trainers, also noted his progress (limited though it was) and encouraged me to continue to push him to his limits. 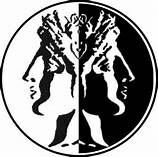 As Rewind and I began to make more progress, it became apparent to me that the kennel environment was not the best situation in which to achieve success in reshaping his psyche. 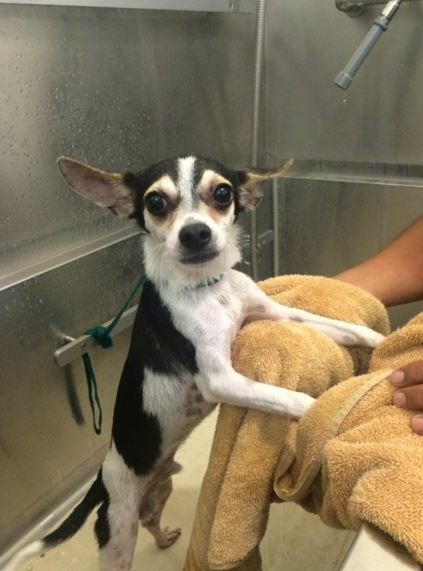 We had reached a plateau, he was not making any more progress, yet he was not yet deemed to be adoptable. He still demonstrated that "flight or fight" behavior, even when approached by familiar humans. I felt the best hope to reach "adoptable" status would be to work with him outside of the kennel/shelter environment. My request to give it a try in my home was granted. Within a couple of days at home, he started to blossom and come out of his dark past. With the help of my Lab pup, he began to learn what it is like to be a dog, and how to interact with both humans and dogs. In this loving, but regimented home environment, he began to develop trust as well as confidence. 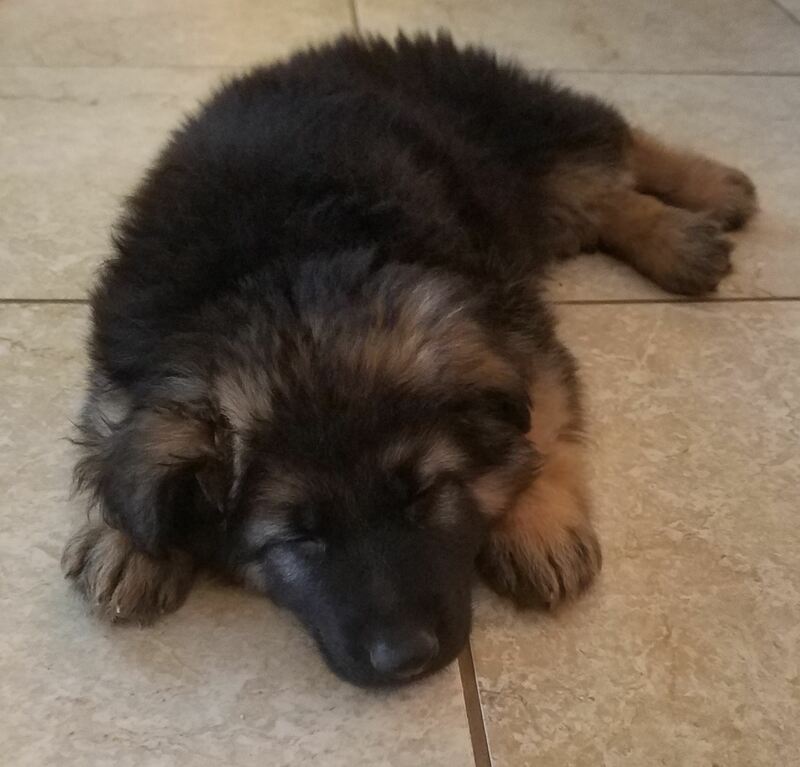 He quickly learned how to play interactively, eat regular meals, rest comfortably in an X-Pen, and to sleep quietly in a crate all night long. He became curious and enjoyed exploring both in the house and in the yard. 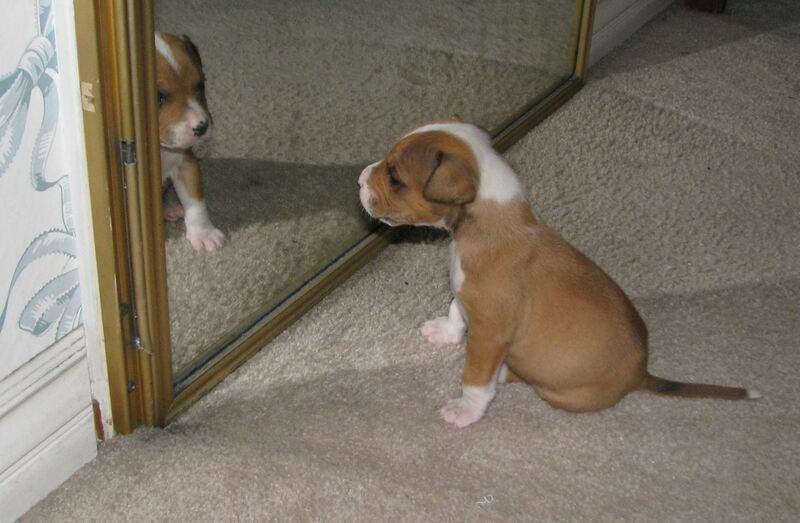 His confidence started to soar. 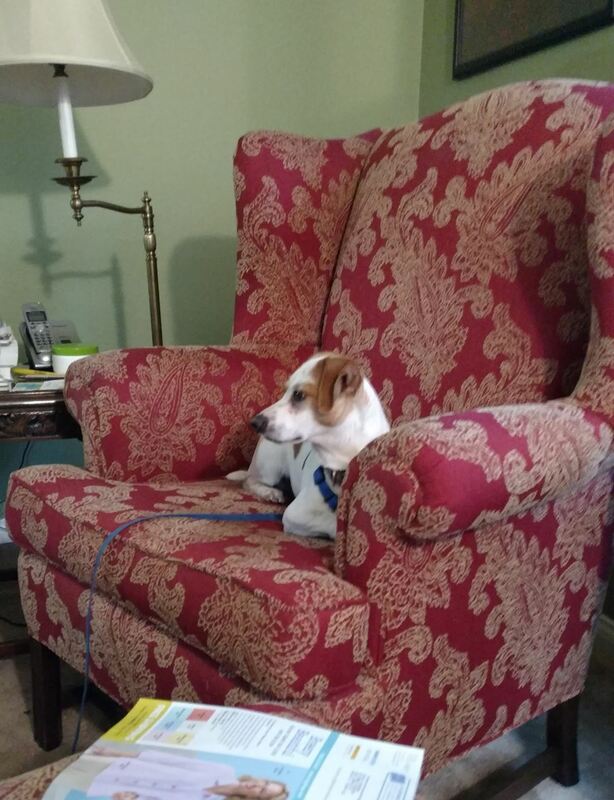 He earned freedom to roam throughout the home and would often hop onto a chair, couch, or bed to curl up for a nap in the sun. Visitors would come by and he often chose to interact with them too. While at he was at the shelter, a lady named Gina sat outside his kennel and visited him almost daily. 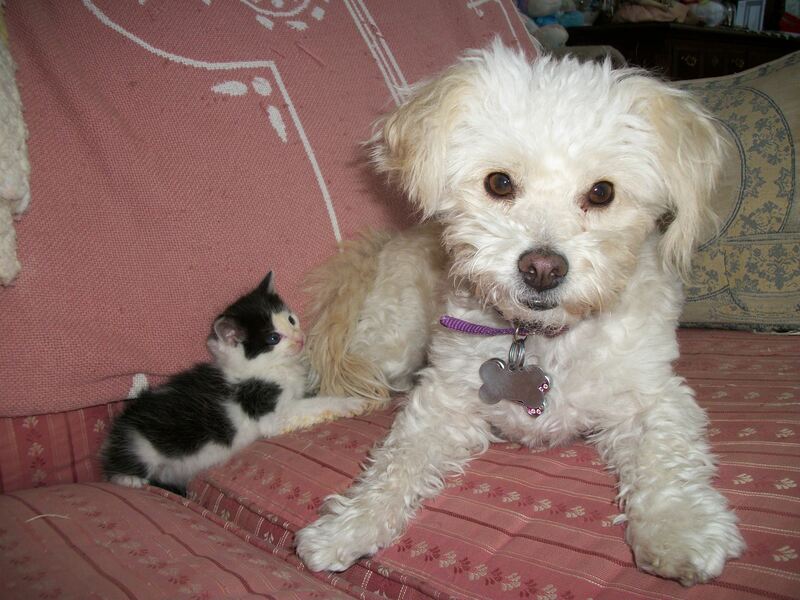 It was Gina's daughter that found the stray dog and brought him to the Shelter. 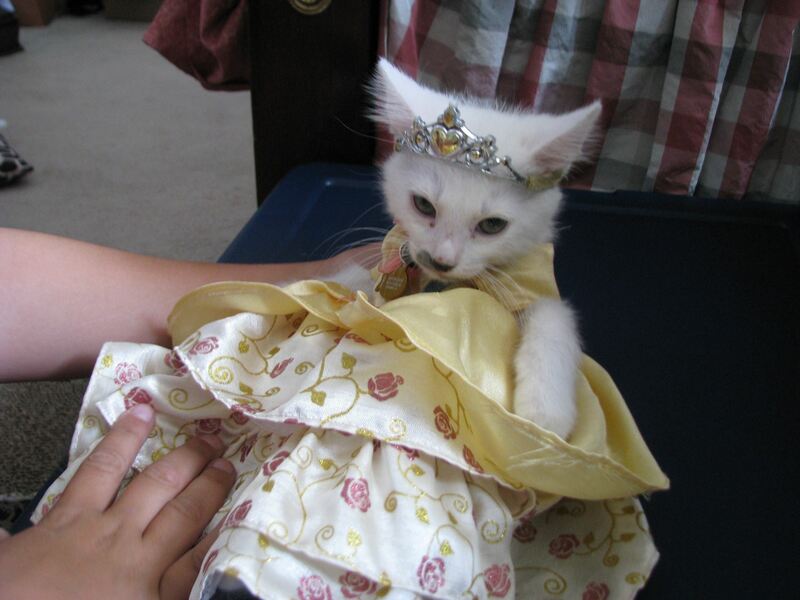 Gina asked to adopt him, and was told that she'd need to wait until he was "ready". She thought about naming him "Max", but then decided on "Buddy". After nearly two weeks in our home, he made enough progress to be considered fit for adoption. We had a successful “meet and greet” with Gina, her husband, and their dog in our home. 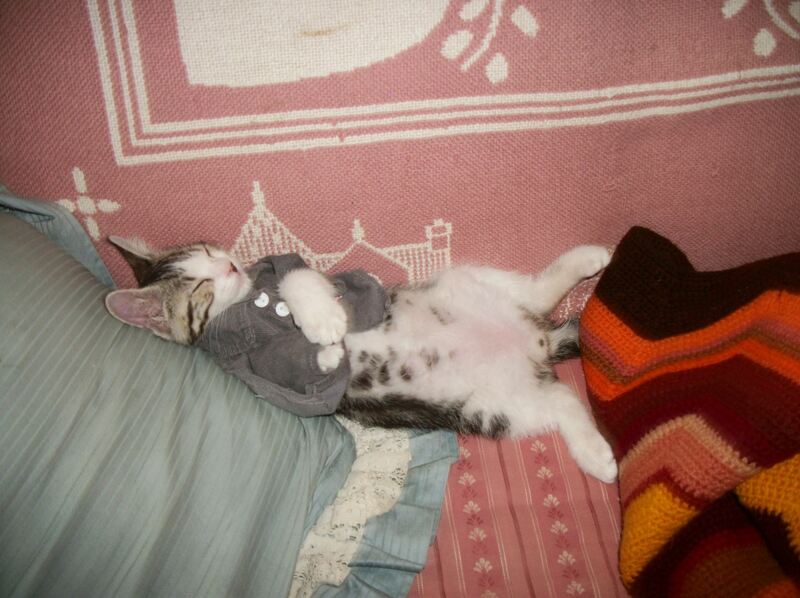 Gina finalized the adoption the next day and I took him to be neutered the following day. 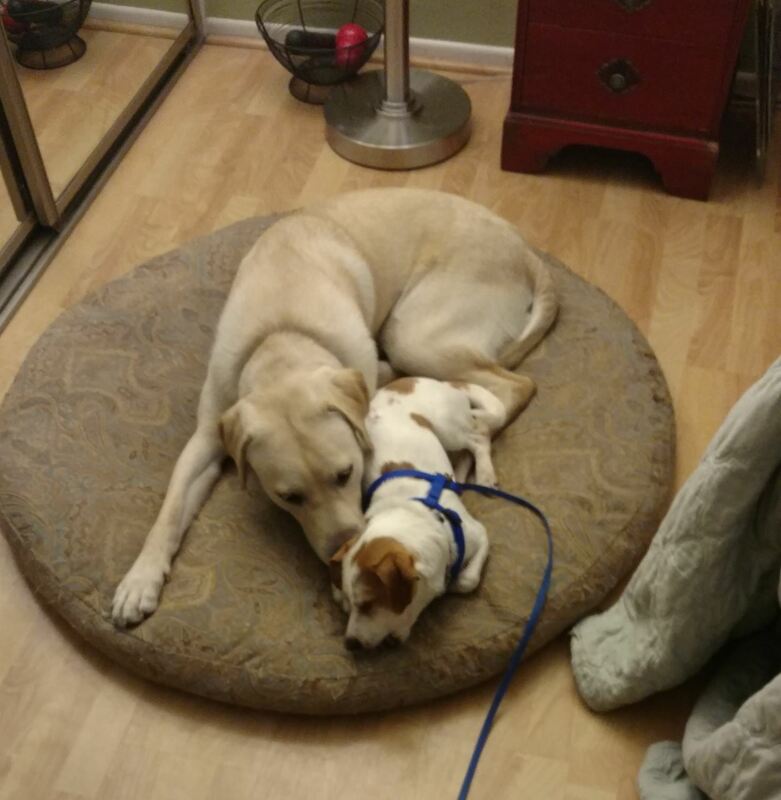 After one more day in our home to recover, Gina picked up Buddy and took him to his new permanent home, where she renamed him "Scooter". He is aptly named because now he "scoots" everywhere instead of hunkering down and shivering in a corner. Everyone is happy! My intent was to find the best method for achieving the successful rehabilitation of this severely troubled dog. The in-home experience worked well in this particular case. Whether fostering, rehabilitating, or just socializing the shelter animals, it is always extremely rewarding to be a small part of a truly wholesome outcome for these wonderful creatures. Despite the memories of his difficult past, whatever it may have been, I'm confident that he's on his way to a full and happy life with a very loving family. As you can see, Ron went the extra mile for Scooter and is a hero many times over in our eyes. We've witnessed Ron's firm but gentle touch on many challenging dogs who may not have been adoptable without his efforts to socialize them. 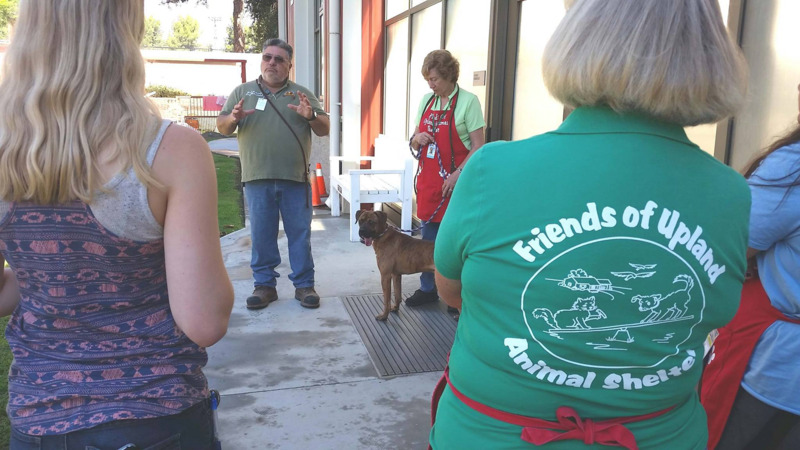 He is a remarkable volunteer and we thank him for everything he does for Friends of Upland Animal Shelter and all the dogs who come through the shelter. I have to thank the staff for making this possible, Shelley, Cam, Carrie, Josh, Arlene, Alex, Peggy and Josh, plus the entire staff. The person that made this a reality is Ron Chrisman who worked countless hours and fostered Scooter and allowed my husband and me to visit him at his home. Ron and his wife, Shirley, gave this little guy a chance and really worked with him at the shelter and changed this little guy’s outlook on life. Now Scooter has a forever home and we are truly blessed to have him in our family. 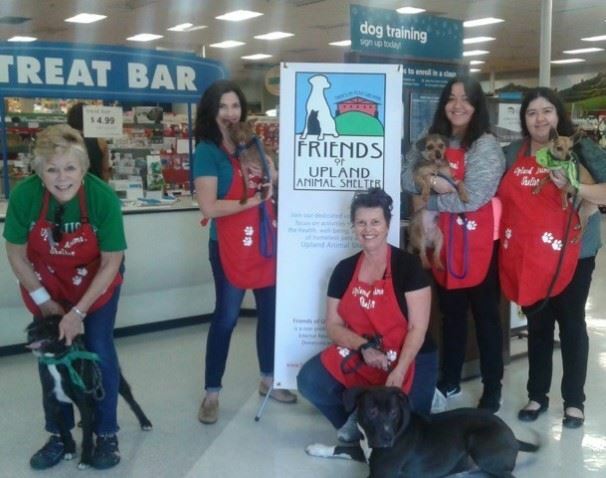 Thank you, Friends of Upland Animal Shelter, for truly caring for these animals. 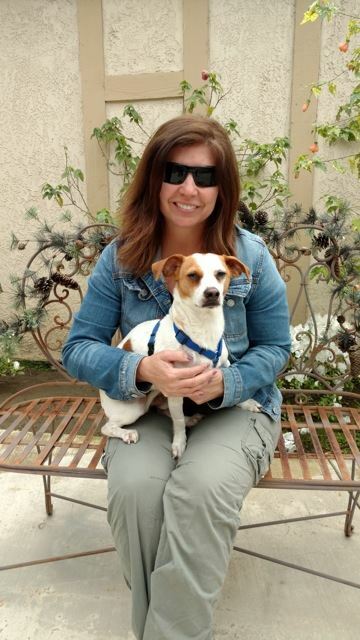 Thank you Gina for giving Scooter the time and patience he needed to “shake off” his past and for giving him a wonderful, forever home. We are truly grateful and happy for all of you. 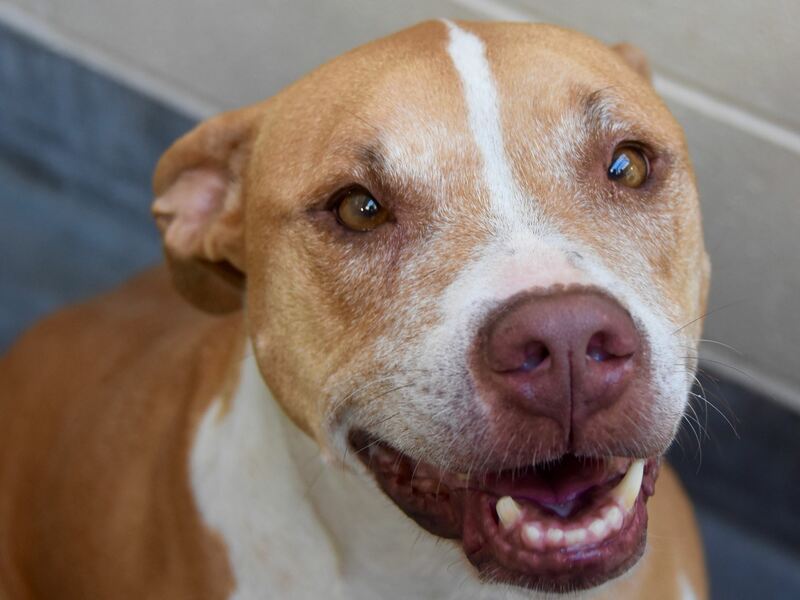 Because we know some of our dogs would benefit from being in a home environment rather than the shelter, we are expanding our foster program to include adult dogs. 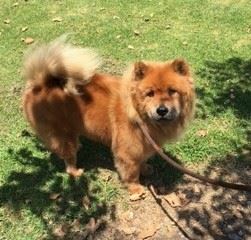 For more information about fostering, please call Jessica Lopez, Shelter Operations Manager, at (909) 931-4363 or send an e-mail to foster@friendsofuplandanimalshelter.org. If it’s the middle of the night, it’s a good bet that Karen Hermann is awake and feeding kittens. 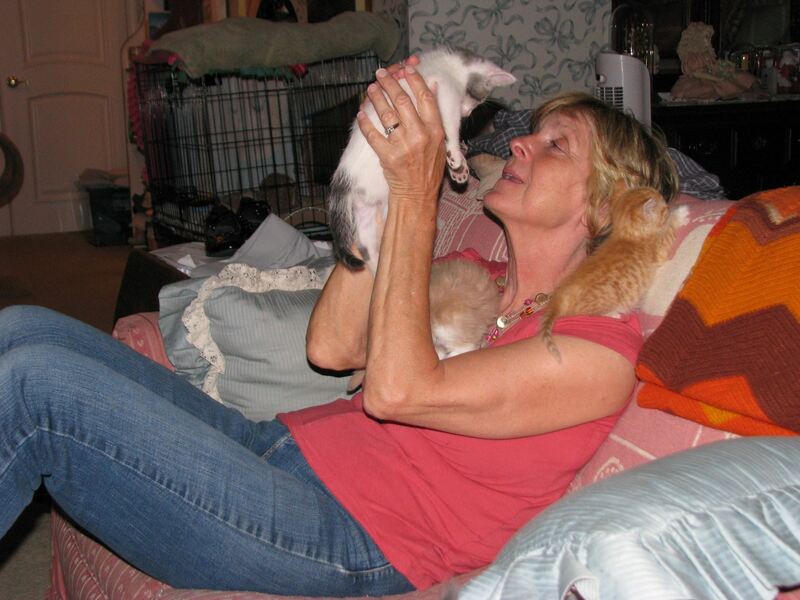 Karen is one of our dedicated volunteers and staff members who regularly fosters kittens for the shelter. 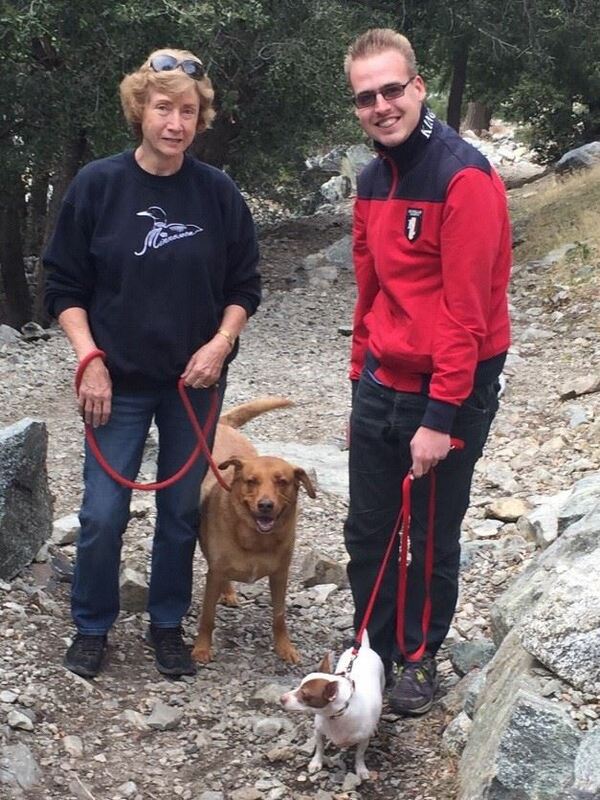 She is also a long-time Lead Volunteer and member of the Board of Directors for Friends of Upland Animal Shelter. As Karen will tell you, all types of kittens enter the shelter…newborn kittens, kittens who are older and can eat on their own, kittens with mothers who are nursing them, and expectant mothers ready to give birth. Young, orphaned kittens are some of the most at-risk pets in shelters because they require intensive around-the-clock care. For the just born and very young ones, it is the first critical hours and days of feeding them every 2 1/2 to 3 hours and keeping them warm that makes the difference between life and death. When kittens come into Upland Animal Shelter, staff will try to find a foster who can take them. That’s when Karen and other volunteers get a call for help. 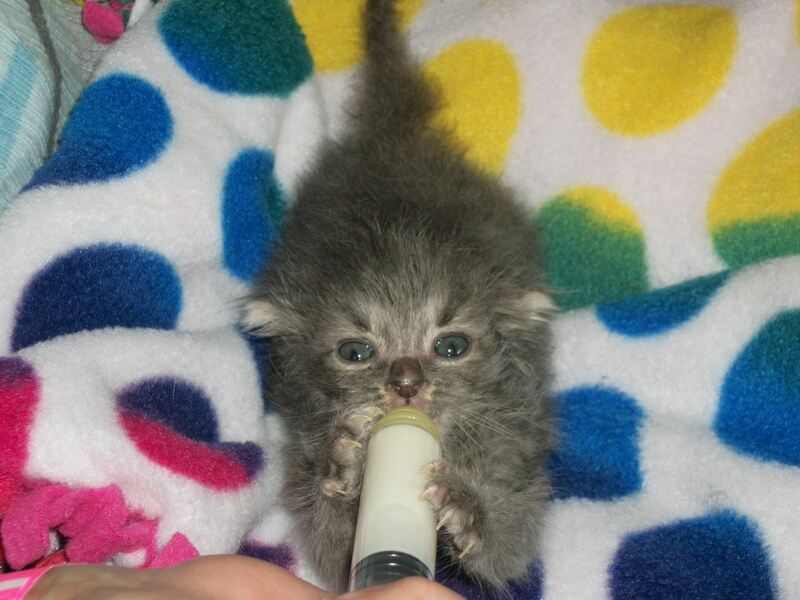 A lot of times, the call is for older kittens who can sleep through the night, eat solid food, and just need a few weeks in a home environment. Other times, the call is for newborns that will need a lot of support until they are big enough (2 pounds) and old enough (8 weeks) to come back to the shelter to be spayed or neutered and adopted. 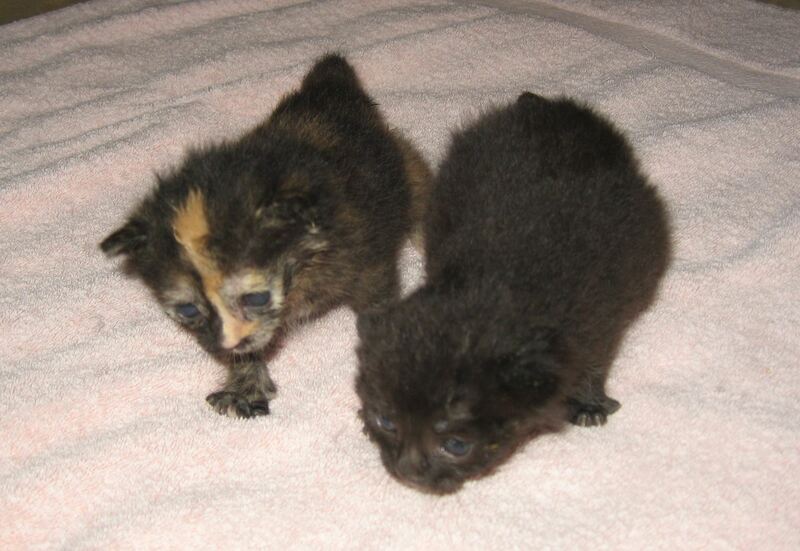 Less often,the call is to foster a mother cat needs a quiet place to raise her kittens. If no fosters are available, many of our kindhearted staff members who already work their day jobs will take the youngest ones who need the most care, nurse them through the night, and many times care for them until they can be adopted. That is why we always welcome new volunteers who would like to foster and have the time, energy, and dedication to help us care for our most vulnerable animals. When she first started fostering, Karen didn’t know anything about taking care of kittens and “learned on the job” with a lot of support from shelter staff. 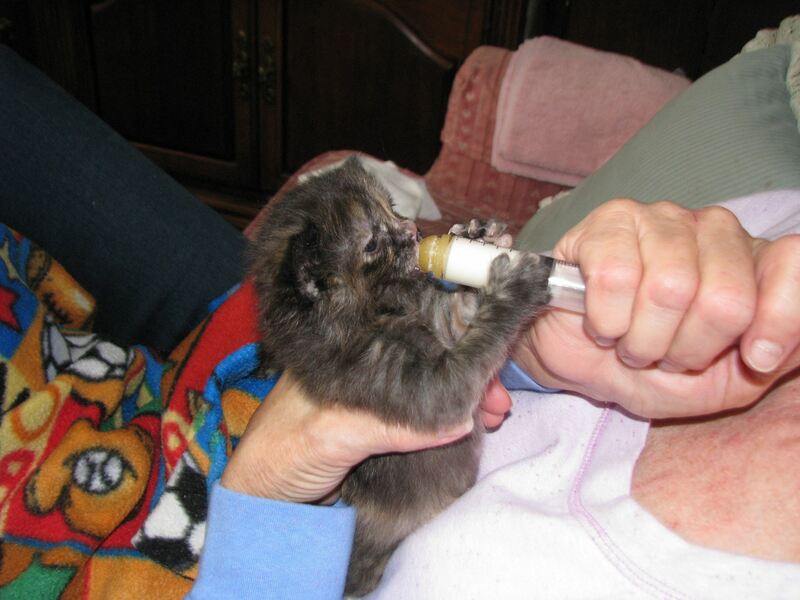 Then, as now, her days consisted of doing everything she could to help them survive…from bottle feeding, cleaning crates, washing bedding to providing heating pads, supplying stuffed animals for cuddling, and watching for any signs of lethargy or illness. To make sure she didn’t miss a feeding during the night, she began setting her alarm clock for every 3 hours. To this day, she still sets her alarm clock at night, but notes that she’s gotten so used to the routine that she often gets up before the alarm clock goes off. 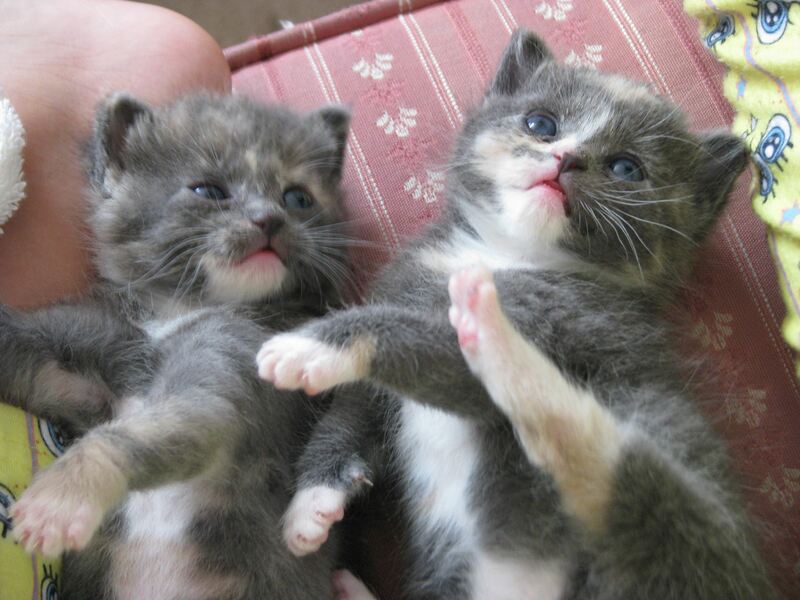 Over the years, Karen has fostered hundreds of kittens. It’s rare for her house not to have little ones in one or more rooms at any given time. In fact, last Fall, Karen had the most kittens she’s ever had at one time…she had three litters, including one Mama cat with 9 kittens and 8 orphaned kittens for a total of 17 felines! When Karen became ill unexpectedly and was hospitalized for a short time, Jack took over their care and feeding without a hitch. 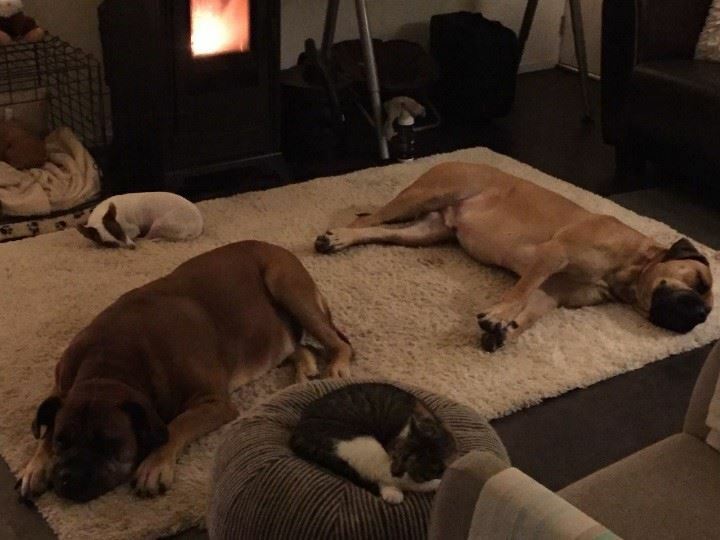 Fostering is now a way of life at the Hermann household with not only Jack, but also Kendal, her granddaughter, and Daisy Mae, their own rescued dog, helping with all the animals. And, just for the record, the Hermann's have fostered a few puppies too. Right now, Karen is fostering an expectant mother cat and awaiting the arrival of kittens any day now. Time will tell if she beats her own record of fostering 17 cats at one time. And, if all that isn't enough, another part of Karen's day is volunteering at the shelter. After getting up all night to tend kittens, she regularly (almost daily) comes to the shelter to clean the cat kennels and make sure the cats are all doing well. Remember last Fall when she had 17 kittens at her house? She also came into the shelter every day to help shelter staff deal with a ringworm outbreak. She “suited up” and put in overtime to make sure the infection didn’t spread. Jack did too. Because she’s in the shelter so often, Karen also knows all the cats who are in the shelter at any given time and keeps a watchful eye on them. Recently, she was concerned that Black Smoke was hiding too much in his kennel and wouldn’t be seen by potential adopters. She took the time to replace his covered bed with a box that she will slowly make smaller over the next few days so that he gets more comfortable being seen. That way, he’ll have a better chance of being adopted. What does Karen say is the hardest part of being a foster? Losing the ones that are in such poor condition when they come in that it’s impossible to save them. It is heartbreaking, but then she thinks about all the ones she’s helped save and that gives her strength and courage to continue. As you can see, Karen is an amazing person with an indefatigable spirit and energy, and her love and compassion for the animals in our care shines through. 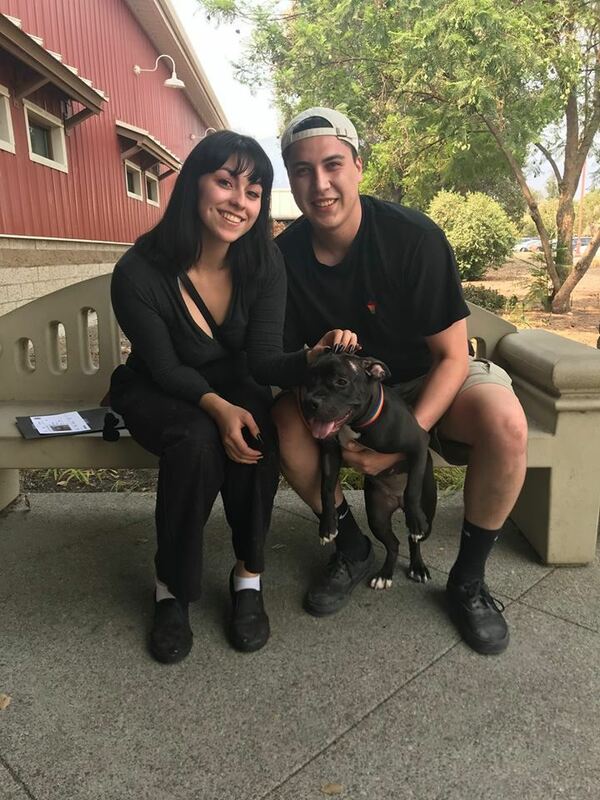 We thank her, Jack, and Kendal (and Daisy Mae) for everything they do for Friends of Upland Animal Shelter and all the animals who come through the shelter. Until the day spaying and neutering is so successful that we don’t see unwanted kittens enter the shelter, we are grateful for volunteers like Karen and our staff members who open their homes and sacrifice a little sleep to care for our most at-risk animals. 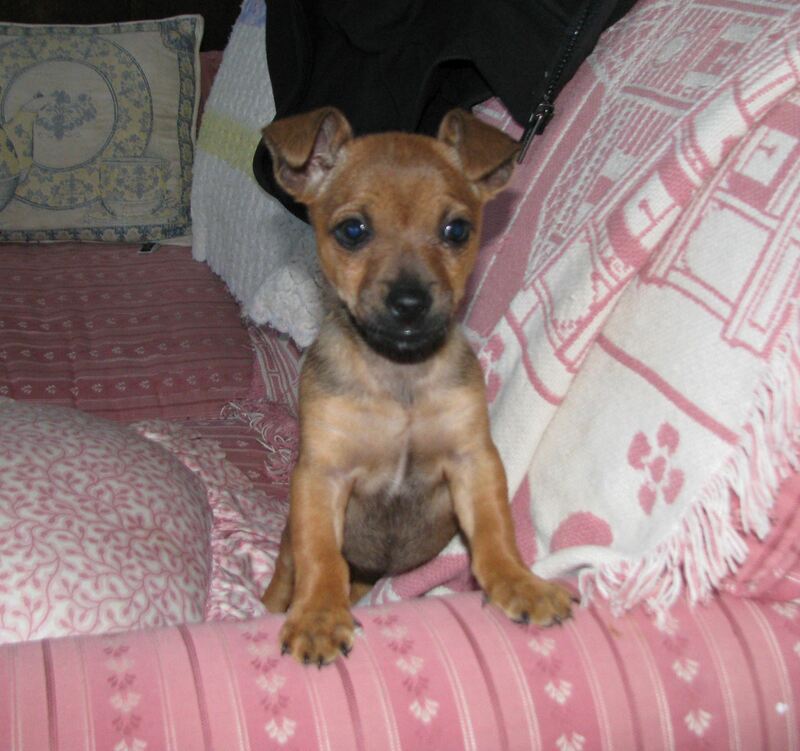 Has Karen inspired you to become a foster? Join us at our Foster Orientation on March 16 at 6:30 p.m. at Upland Animal Shelter, 1275 San Bernardino Road, Upland to learn about opportunities to help. Don’t worry…we won’t ask you take 17 kittens! We’ll be sure to match you with the number and age of kittens and puppies that you are comfortable handling. 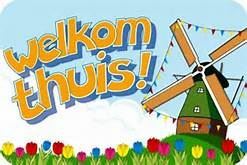 Welkom Thuis, Anna...that’s Dutch for "Welcome Home, Anna"
When we think about our shelter animals going "home for the holidays", we generally think of them traveling a few miles or maybe a little further. 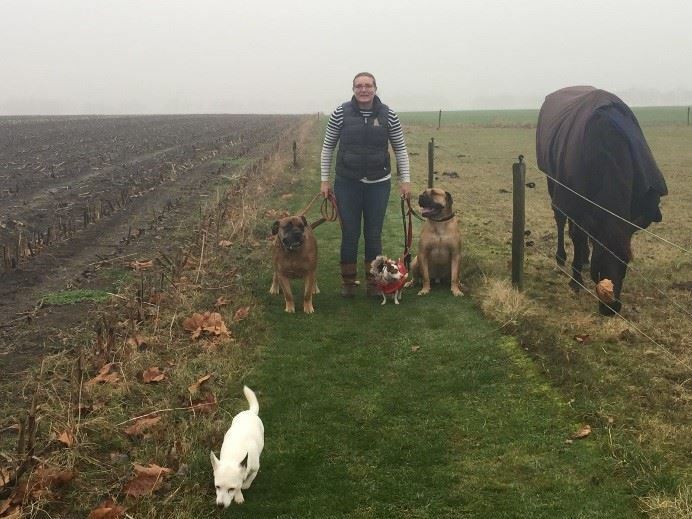 But on December 8, one of our lucky dogs started on an amazing 5,600+ mile journey to her new home in Hardenberg, which is a town in the eastern Netherlands. Anna first came to the shelter on May 18, 2016. After nearly a month, she was adopted. However, during her free health exam, it was discovered that she needed some dental work, which her new family couldn’t afford. 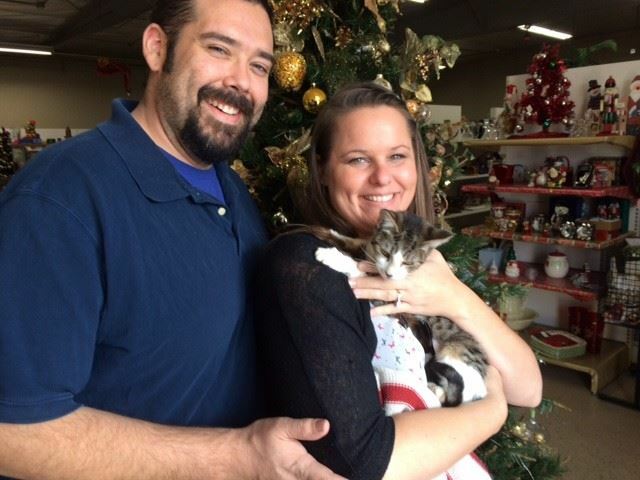 Anna was brought back to the shelter where she waited for another family to fall in love with her. 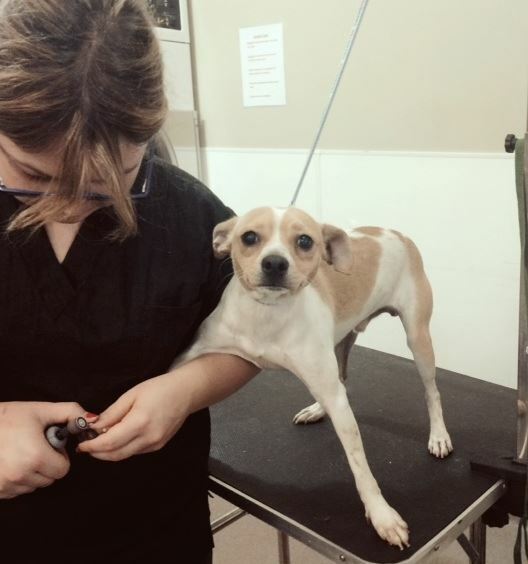 Thanks to a partnership with Banfield Pet Hospital, who offered us free medical care as they prepared for their grand opening, we were able to get Anna’s teeth taken care of in July, which we thought would result in her getting adopted very quickly. However, fast forward to October and Anna was still waiting for the perfect family. 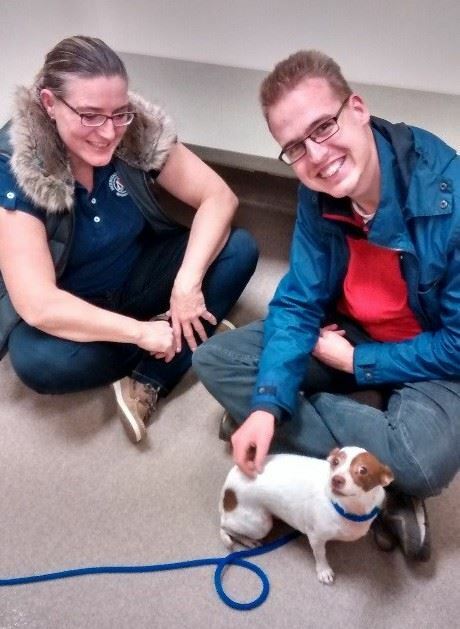 That’s when fate intervened for this little 5-year old Chihuahua mix. 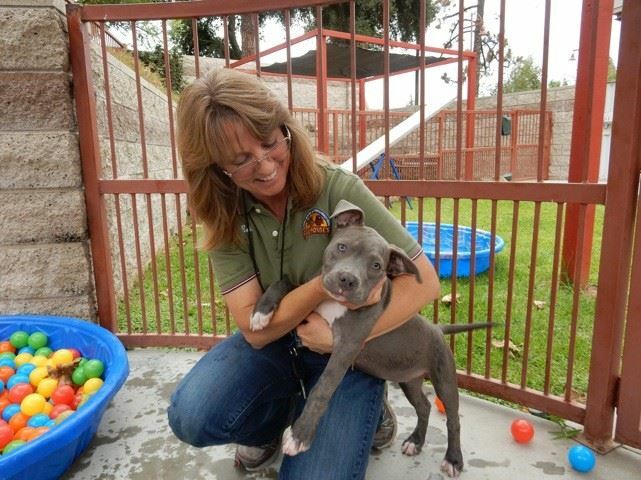 Friends was the featured shelter partner for Cesar Millan’s Adopt-Me-Thursday program for the month of October. 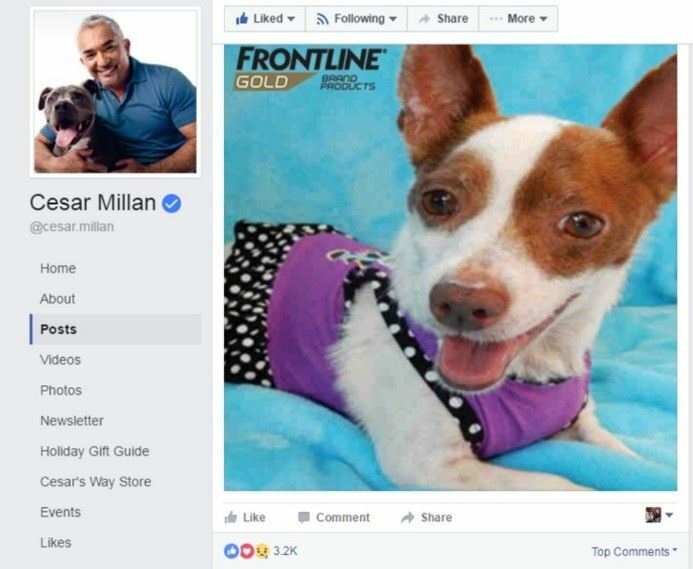 Anna’s cute face and story were featured on Cesar’s Facebook page on October 20th, and she garnered quite a bit of interest…interest all the way from Holland to be exact! Linda Pol, at her farm in Holland, saw Anna on the internet and fell in love. She decided to take a chance on this cute little pup thousands of miles away from her home and reached out to us to see if we could make an international adoption possible. After some research, many emails, and phone calls, Anna was placed into quarantine to prepare for travel and flights were booked. At home in Holland, Anna's soon-to-be new family was awaiting her arrival. 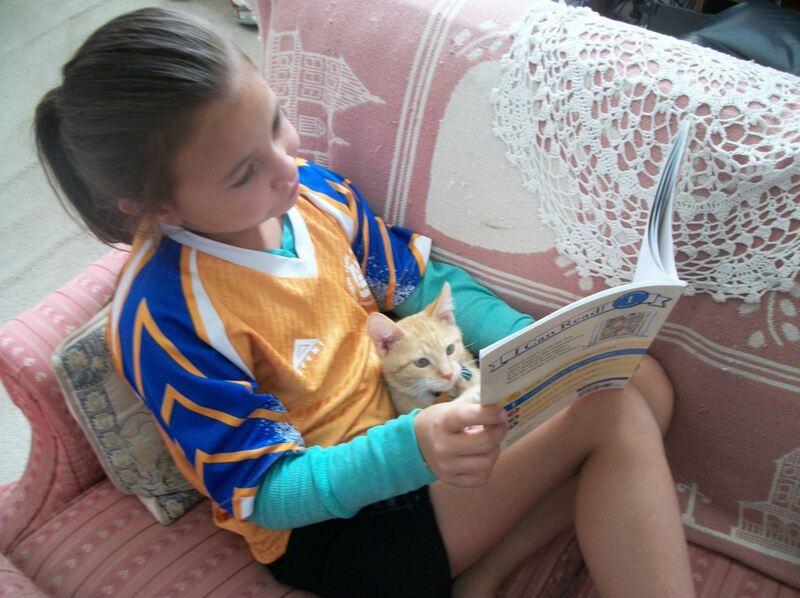 Anna’s future family member, Frabbe, sent her a lovely letter to help her learn about her new family. 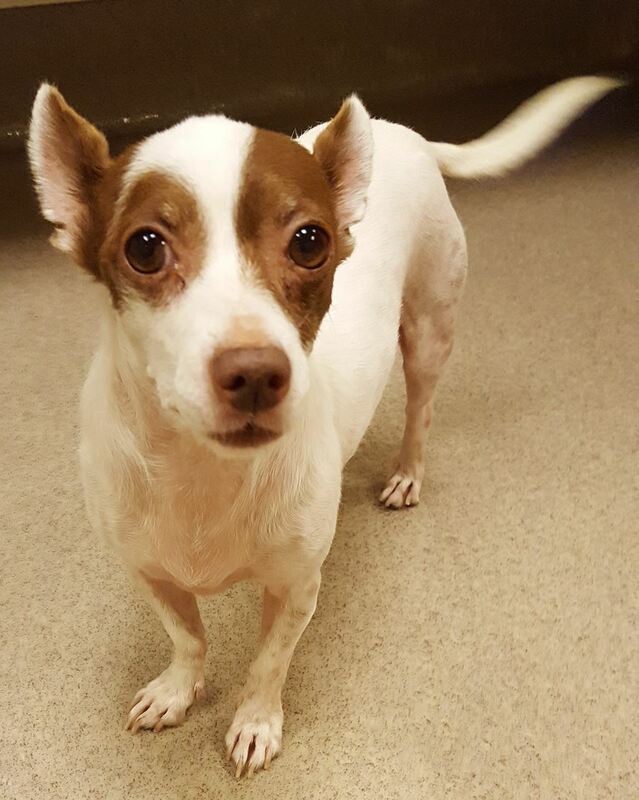 My name is Frabbe, nickname White Princess, and as the (oldest) dog – leader I am honored to let you know you are going to be one of us really soon. Let me introduce my pack and myself. 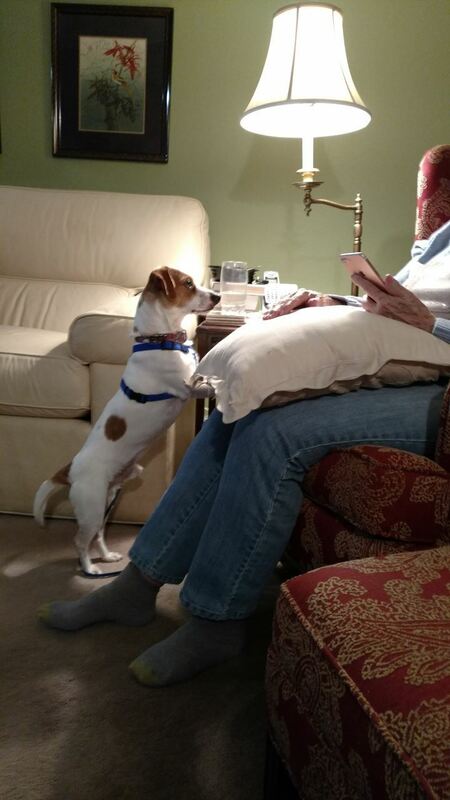 I am a 14-year-old Jack Russell, white with 1 brown ear. I always had, and still have, a very joyful, happy life and now even more because we live on a farm since over a year now. Then we have Daya, my human leader calls her Big Girl, because she is a 60kg female South African Boerboel. Her birthday is 14 of September 2008 (humans think our birthdays are important, another excuse to eat cake. By the way mine is going to be in more than a week, 8 November). Daya is a nice companion and she is a very wise and easy going dog. Tyson is also a full South African Boerboel that came from the same breeder, he has something with his legs and was not allowed to breed. Tyson also weighs a lot, and sometimes he is very impolite and steps on my toes because he wants to go through the door first. Luckily my human leader tells him to wait, she always says “ladies first”. That means you can go first t0o! Tyson is going to be 3 years on 12 of December, you are here by then, NICE we can have cake together. We also have other animals, they are called cats, we are supposed to be nice to them but I do not like them all the time. When they come too close to my chair I will growl at them. We can growl but we are not allowed to bite them. We also have large animals with 4 legs, they are called horses. They don’t understand us at all. During the day we hang out around in the house and the yard, with cold weather we lay down in our wonderful chairs next to the fireplace. And I also have a place in the kitchen that is only mine. I love to help the humans cook, sometimes I get a potato, I love a raw one. But I have to chew really carefully because when my Boerboel friends hear me chew they also want a potato and they make a mess. I don’t, I always clean up. That’s probably why the humans call me a vacuum cleaner. I’ve heard you live in a very hot place compare to where we live. So the humans are going to get you some sweaters and of course a raincoat. 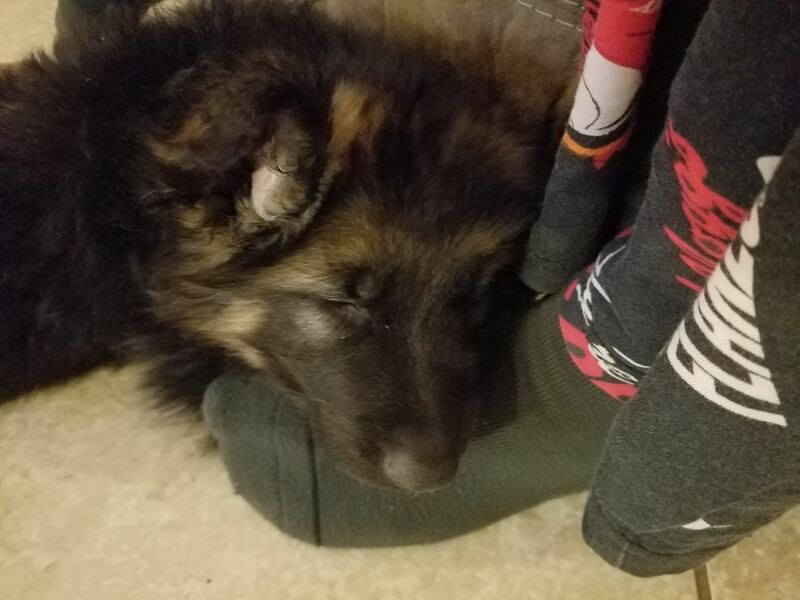 I have one too, they are nice and warm. My human leader never left us for more than a day, to pick you up she will be gone for a week, you must be very special. And by the way, to make you a bit more happy, the humans have a wonderful butcher that will bring us a cow bone every now and then. Sorry I can’t share mine with you, but I don’t think you mind getting one of your own do you? Love to see you in December, so we can eat cake on Tysons birthday and dig out the rabbit holes together. Love 2 see u soon. Meanwhile, Linda and her friend Michael made the long trek to California to meet Anna. Linda's husband stayed behind to tend the farm while they were away. 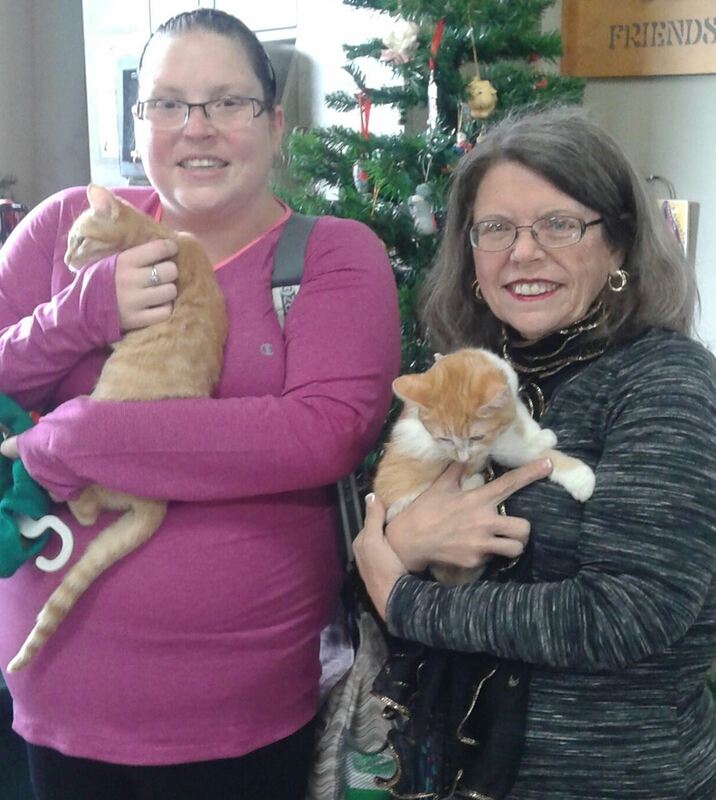 Linda officially met and adopted Anna on December 2, 2016. Linda and Michael spent a week here on holiday and even spent time taking other shelter dogs for walks. One of our Lead Volunteers, Helena Van Kooten, is from the Netherlands and helped Linda and Michael plan their trip, and got to spend some time showing them around the area. They worked up an appetite on some local hiking trails and took Anna out to lunch at a dog-friendly cafe. On December 8th, Anna, Linda, and Michael made the 10-hour journey home to Holland. Anna met her new family members and is settling in well. She's learning all about living on a farm. Anna has her own raincoat, and like Frabbe promised in her letter, she is getting her very own handmade sweater to keep her warm. 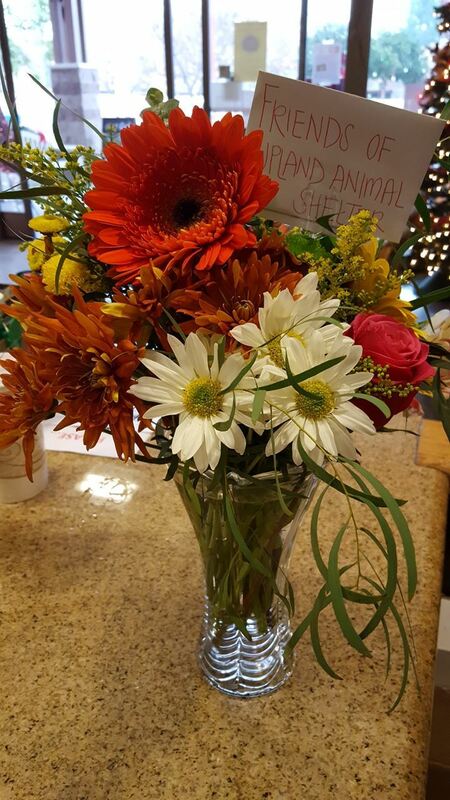 Last week, Anna surprised us with flowers and a sweet thank you note. Linda has promised to keep us updated on the next chapter of Anna’s adventure...after her nap, that is. 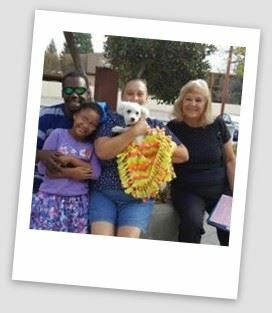 Thank you, Linda, for making the long trip from Holland to give a shelter dog in Upland, California a wonderful home and family! Anna’ story is a great example of the importance of networking and the role social media plays in finding homeless animals new homes. Thank you to everyone who played a part in getting Anna to her new home in Holland. As always, Friends is dedicated to helping every adoptable animal find a loving home, even if that means extra paperwork, countless phone calls and emails, and assisting with international travel arrangements. Er is green plaats zoals huis! 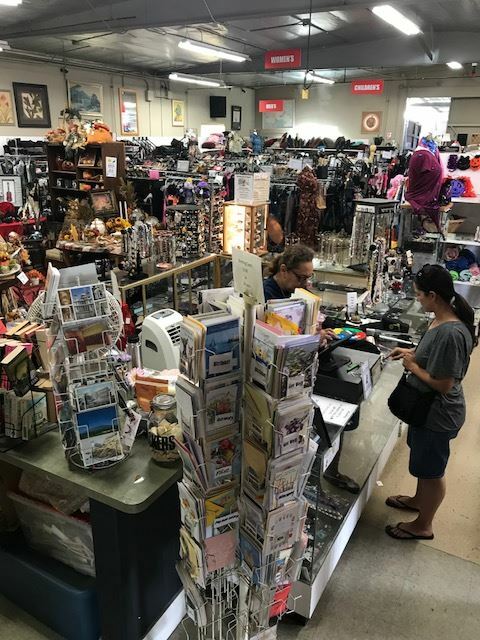 We are having so much fun helping our customers get ready for the holidays at 2nd Chance Thrift Shop that we wanted to share it with you. Every day, all day, we are bringing out more holiday items to display throughout the store, listening to holiday music, and greeting customers, old and new alike. 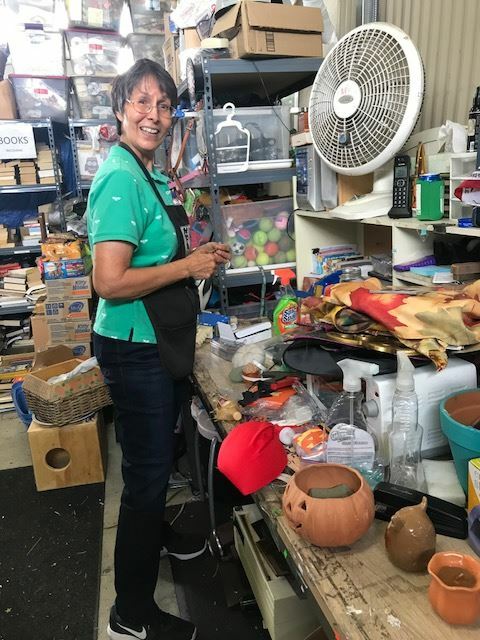 We’ve been looking through all the donations when they first come in and making sure all the holiday items get on the floor fast – a kind of “holiday item triage.” (Seeing all the new stuff is part of the fun.) Thank you to Sharon, Nanell, Monica, and Sylvia, some of our long-time volunteers, for making these items a priority. It’s a lot of work, but we've been sustaining ourselves with a variety of treats. Thank you Sylvia for the delicious brownies! We are truly amazed and thankful for the generous donations we receive every day. If you follow us on Facebook, you can see all the new and interesting things we get in. Just yesterday, we received a lovely Dress Form Tree…a la Pinterest. Kudos to Linda, one of our long-time volunteers and new employee, for restoring it to its original splendor. In case you haven’t been in yet this season, we have all the basic supplies you need at great prices. Wrapping supplies, tree trimming supplies, trees, wreaths, holiday lights, and much more. You might want to stop here first before you go to your regular stores to see if we’ve got something you need at a fraction of the cost. Baking gifts this year? We've got lots of tins, boxes, and platters. Grab bags of wrapping supplies, ornaments, and other "smalls." We have lots of boxed ornaments. Lots of boxed and individual holiday cards. Mix and match individual ornaments. 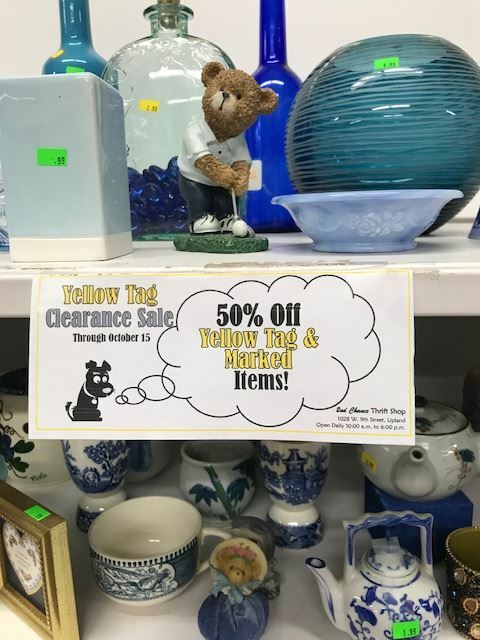 Being a thrift shop and all, we also have a lot of unique and collectible items and antique furniture that you won’t find in a regular store. These pieces can make interesting and wonderful gifts. Any Paul Bunyan fans out there? Plus, we've got a lot of gently-used merchandise in every category that can make great gifts. Jewelry, electronics, sports equipment, books, figurines, and more. Any budding astronomers out there? Lots of games, toys, and kid's grab bags. "Wow! Only a true friend would be that truly honest." Looking for something nice to wear to a party? We've got a lot of dressy, gently-worn clothing. Or, still looking for the perfect "ugly" sweater? We just reduced our prices. Our last mini-parking lot sale is this Saturday, December 17 from 10:00 a.m. to 3:00 p.m. We are bringing out the last of the holiday items that have been in storage. Thanks Issac, for volunteering at the mini-lot sales. We’ll also have more kittens for adoption this Saturday as part of our “100 Cat Challenge.” We never forget this is why we do what we do at 2nd Chance...to give lost and abandoned animals at the shelter their second chance. 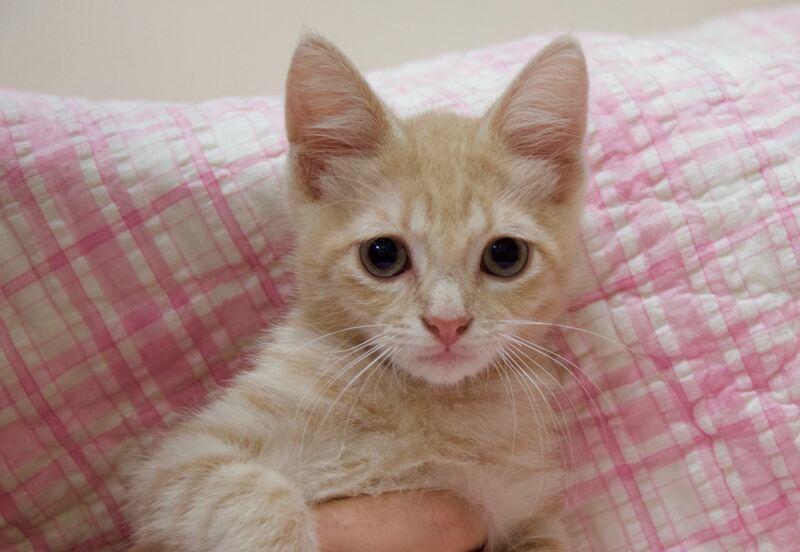 The adoption fee for all cats and kittens is $25.00 through December 31. 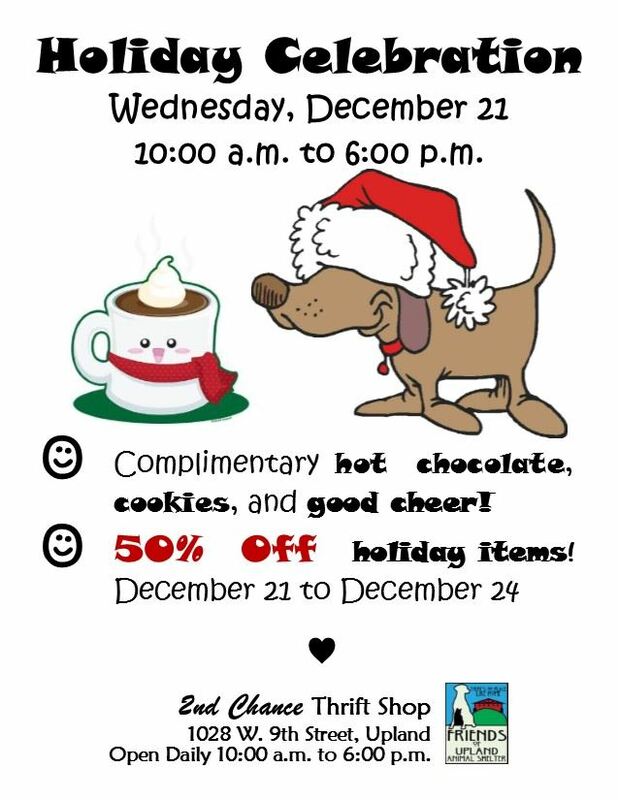 Plus, you’ll receive a $10 gift certificate for anything at 2nd Chance Thrift Shop. And last, but not least, we hope to see you at our Holiday Celebration on December 21. Come enjoy hot chocolate and cookies with us all day. Plus, help us kick off our 50% off sale on all holiday items, which runs December 21 through December 24. If you ever want to join the fun and volunteer at 2nd Chance Thrift Shop, we would welcome you. Please send an e-mail to Jolynne Flores at thriftshop@friendsofuplandanimalshelter.org to sign up today. Jolynne is a long-time volunteer turned staff member who will be helping to welcome new volunteers. P.S. We'll be closing early at 2:00 p.m. on Saturday, December 24 and will be closed on December 25.